The Kurt J. Lesker Company® is excited to announce that the entirety of our website has been translated into German and is now available publicly! Web visitors located within Germany will be automatically redirected to the German Lesker website where they can view our entire website in their native language. This feature includes every builder, selection guide, shopping cart, product page, blog post, and tech note on www.lesker.com. It has been our goal to provide this translation to make browsing, researching, and purchasing an easier task for our German-speaking customers and contacts and we are excited to announce its release. Although users within the borders of Germany will be directed to the new pages, any user can click on the “Deutsch” link at the top of any webpage to be taken to the German language page. The Kurt J. Lesker Company® is proud to introduce the KJLC® Carbon—the most cost-effective capacitance manometer on the market. While providing an economic alternative, the Carbon still maintains a high accuracy rate and a fast response time. This gauge uses an ultra-pure alumina ceramic diaphragm, which is corrosion proof and allows for better signal stability. Simplistic and sleek, the Carbon is a must have piece to any research process. 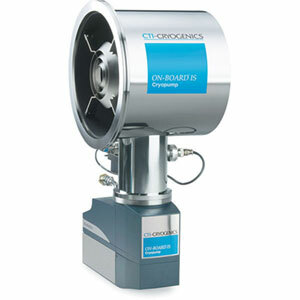 Other features and benefits of this gauge include: direct measurement of chamber total pressure independent of gas type or composition which eliminates lookup tables and conversion factors; long-term output stability for state-of-the-art process repeatability; smallest, compact design for space restricted areas; mountable in any orientation. The new KJLC Carbon is stocked in our US warehouse for immediate shipment. Contact us today to learn more: 800.245.1656 or salesus@lesker.com. Kurt J. Lesker IV was recently honored to accept the Pittsburgh Smart 50 award on behalf of the Kurt J. Lesker Company. The Smart 50 Awards, created by Smart Business, recognize the top executives of the smartest companies in the region for their ability to effectively build and lead savvy organizations. The Smart 50 honorees were selected on a number of criteria including having a positive impact in the community, as well as being leaders with innovative ideas and making our area more sustainable. In receiving this award Kurt was quick to point out that it is truly a company-wide award and he acknowledged the fact that the company’s success can be largely attributed to the dedication of the entire KJLC team to the SPIRIT values we espouse. KJLC, led by President and CEO Kurt J. Lesker IV, follows a stage-gate product development process where ideas come from customers, employees and suppliers. The family-owned business also has a culture of caring that starts with an accessible executive management team. SEMICON West was a great success for KJLC again, with many industry customers and partners in attendance. Our booth featured a ‘valve cube’ with six operating rectangular gate valves, which drew a lot of attention. We also inaugerated a new display of large sputtering targets of interest to the semiconductor audience. A Solvay fluids display and some of our Vacuum Mart and deposition products helped fill out our booth space, as well. This year KJLC hosted a cocktail party at Monroe in San Francisco. The party was very well attended and everyone enjoyed themselves listening to some light jazz and drinking their favorite cocktail. We were able to leverage the week to develop relationships further and gain valuable insight into the global electronics market. We are already looking forward to Semicon West 2019. The Kurt J. Lesker Company’s® (KJLC®) latest version of the IMPULSE™ 2-2 pulsed power modules enable High-Power Impulse Magnetron Sputtering (HIPIMS) when coupled with a conventional DC sputtering power supply. The 2-2 model is geared toward R&D and Process Development applications and had quickly captured a share of the market with its enhanced mix of capability and affordable pricing. HIPIMS is a physical vapor deposition technique that utilizes high amplitude but low duty cycle pulses during which large fractions of sputtered atoms are ionized, resulting in a target-rich plasma. The enhanced plasma creates films with higher density, better adhesion, and improved microstructural properties. The CE-marked design introduced the positive kick pulse option in addition to the standard afterglow feature. This is the real reason for the IMPULSE™’s emergence as one of the most captivating and sought-after designs on the market. The positive kick function engages after the negative sputtering pulse to enhance ion transport to the substrate; thus, increasing deposition rate, clearing charges for reactive deposition, and broadening the process envelope. Ions that would normally recycle to the target are literally “kicked” away toward the substrate with a user-controllable energy. The IMPULSE’s patent-pending ability allows customers full control of the “positive kick” in terms of pulse length, amplitude, frequency, and delay. Why is this important? This innovation is an enabler for HIPIMS deposition on insulating substrates where biasing is difficult/impossible, e.g. glass, polymers, ceramics, etc., for superior adhesion and densification. For very thick films (several to 100+ microns), the adjustable positive kick allows the user to dial out stress in the film for their specific process condition. The feature enables ultra-smooth amorphous tetrahedral diamond (at-C) at high sp3 fraction (>70%) for wear-resistant applications. The positive kick promotes deposition on 3D surfaces at high angles (~90 deg) and minimizes defects for Nb superconducting films by implanting majority Nb+ vs. Ar+. Higher frequency operation (e.g. >1kHz) combined with the adjustable positive kick pulses leads to even better film control to tailor crystallinity/morphology and higher deposition rates—in some cases exceeding DC sputtering. Our motto is to “kick it hard and kick it often”. The user-adjustable positive kick is a game changer compared to legacy HIPIMS platforms. The IMPULSE™ 2-2 is offered in both single and dual configurations with built-in synchronization with other units for master/slave mode. The dual configuration can power two independent sources up to 2 kW each—ideal for multilayer films or graded composition alloys, such as TiAlN/CrAlN. Furthermore, one unit can act as a pulsed DC substrate bias synchronized with the other HIPIMS unit on a single sputtering source to “window” the bias application to control the Ar/metal ion ratio. With up to 400A peak current capability, the IMPULSE 2-2 is perfect for cathodes up to four inches in diameter. A new option in the IMPULSE™ line is now ready to emerge. The IMPULSE 20-20 (20kW-20kHz) unit will be available in the coming months for customers with higher power/ production requirements. It will feature the same performance capabilities as the 2-2 with regards to function and the “positive kick pulse” feature, but at a larger scale! This system is ideal for linear and rotary cathodes for inline manufacturing. The IMPULSE HIPIMS supply has both front panel and remote-control options with up to five user-selectable storage presets. Units are in stock for immediate delivery. The Kurt J. Lesker Company is proud to announce that we have achieved recertification to the revised and improved version of ISO 9001:2015 Quality Management Systems Standard. The new standard includes a much stronger emphasis on Executive Management engagement in the Quality Management System as well as a heavy focus on risk analysis and mitigation. This certification demonstrates our commitment to providing quality goods and services to our customers and further strengthens our commitment to meet their expectations. The four-day audit this past April reviewed KJLC's business processes against the requirements in the ISO 9001 standard. Overall, the auditor was impressed with KJLC's commitment to Quality and Improvement as well as the process and product knowledge at all levels of our organization. In addition, our EMEIA company had previously achieved this distinction back in November of 2017. An image of our new certificate of registration can be found here. Moving forward KJLC is committed to meeting and exceeding all quality specifications and standards to promote an environment of excellence to all of our customers around the whole world. Kurt J. Lesker’s Dr. John Naylor and Marc Poulsom met with Dr. Sebastian Weidt from the Ion Quantum Technology Group at the University of Sussex. The group is a hardware customer of Kurt J. Lesker and Sebastian gave John and Marc a great overview on how vacuum is used in their ground-breaking research and how they plan to bring theory into reality on a large scale. It turns out that without vacuum an ion trap quantum computer simply cannot exist. The group at the University of Sussex, only 30 miles away from Kurt J. Lesker's European HQ, is a world leader in ion trap quantum computing. This technology will potentially transform many industries thanks to the weird and wonderful quantum effects exhibited by tiny ions trapped by electrics fields within vacuum chambers set at a vacuum level of 10E-11 mbar. These ions, or 'qubits', exist in multiple states at the same time, versus classical 'bits' that are either in a 1 or 0 state. This means that quantum computers can be far more powerful than current computers – by a huge factor! Kurt J. Lesker hopes to work with this world-leading research group more closely and enable their technology which, if successful, will undoubtedly make a better world. The Kurt J. Lesker Company® was a key exhibitor again at the 2018 SVC TechCon in Orlando and the event was very a positive experience, both for our company and the Society of Vacuum Coaters. Nick Franzer presented a technical paper on Monday, May 7th, entitled, “Effects of Biasing and Process Gas on Non-hydrogenated DLC Coatings.” Then on May 9th Jason Hrebik gave an informative talk on HIPIMS entitled, "Advantages Associated with Applying a Positive Pulse Option to a HIPIMS Power Supply." Both papers generated a sizeable interest in our company, our vacuum expertise, and our product offerings. Our booth featured our HIPIMS unit, our TORUS® Mag Keeper sputtering source, a linear source, our sample manipulation devices, and our extensive line of deposition targets and materials. This year, the Kurt J. Lesker Company entered the team challenge in the SVC 5K Run for the first time ever and won first place! Congratulations to our team members! The Kurt J. Lesker Company® recently announced the official release of our newest magnetron and power supply packages, the RAP (Research Advantage Packages). These packages enable customers to create a complete magnetron and power supply package including all cables and connectors necessary to integrate into an existing sputtering system. The packages offer a choice between a 2-, 3-, or 4-inch TORUS Mag Keeper™ sputtering source. The Mag Keeper sources are KJLC’s latest design technology featuring quick target capability and UHV compatible operation. The magnetrons come standard with a flex assembly and standard magnets. The Mag Keeper source can be packaged with a DC or RF power supply. If a DC supply is chosen, the customer also has the option of adding one of our IMPULSE HIPIMS power supplies. The KJLC RAP not only enables customers to upgrade their existing sputtering capability to include the latest advances in both magnetron and power supply technology, it is offered at a special package discount price! Click here for more information. The local Western PA AVS chapter partnered up with our friends at Carnegie Mellon University and held a successful student poster session Friday night (Feb. 23rd) at CMU’s Scott Hall. More than forty people showed up to attend and students exhibited 14 different posters. Research included everything from thin film battery technologies to a study on the effects of gold nanoparticles under specific conditions. The attendees travelled from many institutions in the area, including Vitro Glass, Carnegie Mellon University, University of Pittsburgh, Grove City College, West Virginia University and Washington & Jefferson University. The KJLC team was represented by Kurt Lesker IV, Nick Piscione, Joe DeMaio and Keegan Sawyer. Joe DeMaio and Dr. Lisa Porter (National AVS President and CMU Professor) gave the opening remarks which preceded a comprehensive overview of “Large Area Thin Film Coatings and Processes for Architectural Glazings and Other Applications.” The presentation was provided by Dr. Sudarshan Narayanan from Vitro Architectural Glass and was followed by a very active Q&A session. Matthew Moneck (CMU Executive Lab Director) took the large group to see the new CMU Nanofabrication Facility and then we moved right into the student poster session. Six separate cash prizes totaling $800 were awarded to poster presenters. A huge thank you to the Kurt J Lesker Company and Carnegie Mellon University for an incredible amount of support. Joe DeMaio, who has been an active member of the Western PA AVS chapter for quite some time now, has recently been elected as Chapter Chair. This means that Joe will be responsible to commission and lead an Executive Committee, sit in on the National AVS quarterly meetings and report back on the activities of the local chapter. Joe will also be responsible for organizing local AVS events including AVS short courses in our region. The local AVS chapters are a great way to stay connected to the customer base, both industrial and academic alike. As a global leader in vacuum technology we feel it is our responsibility to give back to the vacuum community by supporting organizations like the WPA AVS. 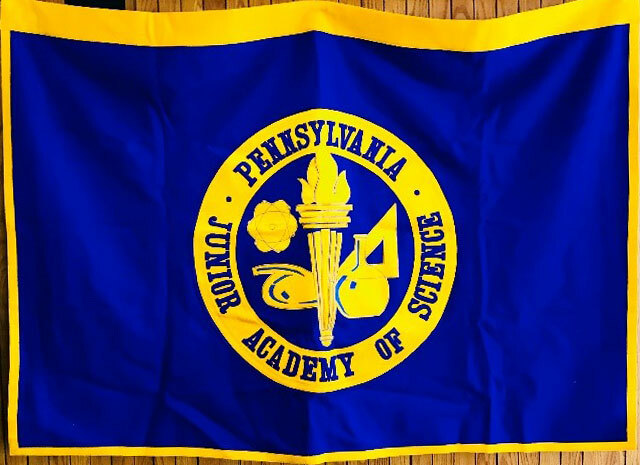 For the 4th year in a row Duquesne University hosted the Region 7 competition of the Pennsylvania Junior Academy of Sciences competition for high school and middle school students. Our J.R. Gaines, Technical Director of Education, on behalf of the Western PA chapter of the American Vacuum Society, repeated his 2017 duties and presented six Special Awards, worth $100 each to students in physics, chemistry and engineering. Can Indium be recycled from flat panel displays and cell phones? Is Perpetual motion possible or not? What type of baseball bat hits the farthest? Our congratulations go out to Liam Kiernan, Eleanor Bath-Wu, Sanjay Seshan, Joseph Finkelstein, Grant Cunningham, and Nabav Gilboa for their outstanding projects. The Lesker Company was joined by other local technology giants including Westinghouse Nuclear, Bechtel, Carnegie Melon, Pitt, and local chapters of the Society of Women Engineers, The American Chemical Society, The American Society of Civil Engineers and many others. Researchers at the Naval Research Laboratory in Washington, DC have recently completed acceptance testing of a new Kurt J. Lesker® PVD75 PRO Line for thermal evaporation putting them a step closer to the development of electro-optic devices that incorporate liquid crystal, a fluid phase of matter possessing order, i.e. anisotropic properties. During the acceptance testing at the Lesker manufacturing facility in Jefferson Hills, PA, Navy representatives were able to fabricate a simple electro-optic device and demonstrate its optical characteristics to our amazed technical staff. The device consisted of two ITO-coated glass substrates coated with various thin films. The substrates were then used to construct a cell separated by spacers and infused with liquid crystal. The liquid crystal was oriented in a uniform direction when viewed between cross polarizers under white light and its orientation manipulated with an applied electric field. This unique PVD75 thin film deposition system is the first deployed with a budget friendly, Lesker designed and fabricated, stage which can be used for Glancing Angle Deposition (GLAD). The GLAD process enables the growth of complex three dimensional structures via the precise real-time manipulation, both rotation and tilt, of the substrate with respect to the arriving atoms from the evaporation source. 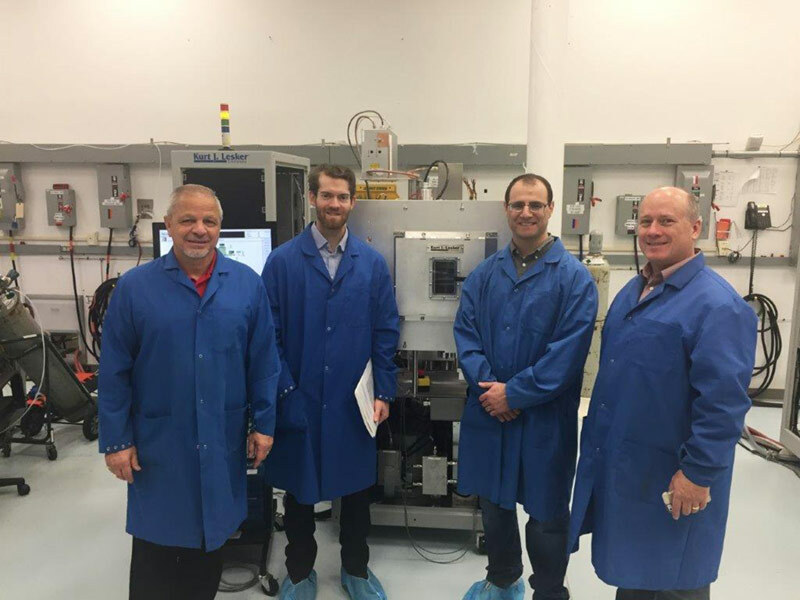 Our colleagues from the brand new Carnegie Mellon University Nanofabrication Facility recently visited KJLC’s headquarters to accept their PRO Line PVD75 sputtering tool. This is the second KJLC tool purchased by CMU within the last two years. The first was also a PRO Line PVD75 but was configured for electron beam evaporation. These tools differ from the standard PRO Line PVD75s in that the load lock is flush mounted to the clean room wall and the actual process chamber is located in their chase areas. There are distinct advantages to this design in terms of cleanroom real estate and ease of access for maintaining the tools. The partnership with CMU is flourishing and is a result of Sales and our Process Equipment Division communicating and working together with our customers. Both sides anticipate further success as CMU’s new Claire and John Bertucci Nanotechnology Laboratory and Eden Hall Foundation cleanroom come to life with new equipment and more users. As they create and advance technologies, KJLC will be one of the resources that Enables their Technology for a Better World. In the beginning of 2018 Zoran Misetic was promoted to Chairman of the Northern California AVS Thin Film Users Group (TFUG). He had previously served as the Vice-Chair of the committee, which operates under the umbrella of the NCCAVS. Zoran and the Kurt J. Lesker Company have been an immense source of support to this Group over the past many years, helping with the organization of events, as well as with setting up speakers for the various talks throughout each year. The Thin Film Users Group focuses on state-of-art thin-film deposition and applications for semiconductor and related fields, such as nanotechnology, renewable energy, imaging devices, design for manufacturing, and advanced memory research. It is composed of engineers and scientists from device manufactures, semiconductor equipment venders and universities. The TFUG’s main activity is a bi-monthly half-day open seminar for researchers and industry technologists with technical presentations on topics of current interests. The Kurt J. Lesker Company hosted its annual Town Hall Meeting on January 23rd in our Jefferson Hills headquarters location. President Kurt J. Lesker IV highlighted the successes of the past year and thanked each employee for their hard work in 2017. He also explained how our products and services are Enabling Technology for a Better World through the innovative ways our customers use vacuum science in a myriad number of applications. The meeting was followed by a delicious lunch provided by a local caterer. We are striving for an even better 2018. The Kurt J. Lesker Company® (KJLC®), a global manufacturer of vacuum systems, thin film deposition tools and vacuum components, recently announced that the United States Patent and Trademark Office has issued US patent number 9,695,510, 'Atomic Layer Deposition Apparatus and Process', covering the design of an atomic layer deposition system and the process to use that system to deposit highly precise and conformal thin films. This proprietary technology substantially reduces the interaction of various precursor gas molecules with the internal surfaces of the reaction chamber and enables actual focusing of gas streams to more effectively coat the surface of arbitrarily large substrates. For more information see this blog on our Blog page: www.lesker.com/newweb/blog/. 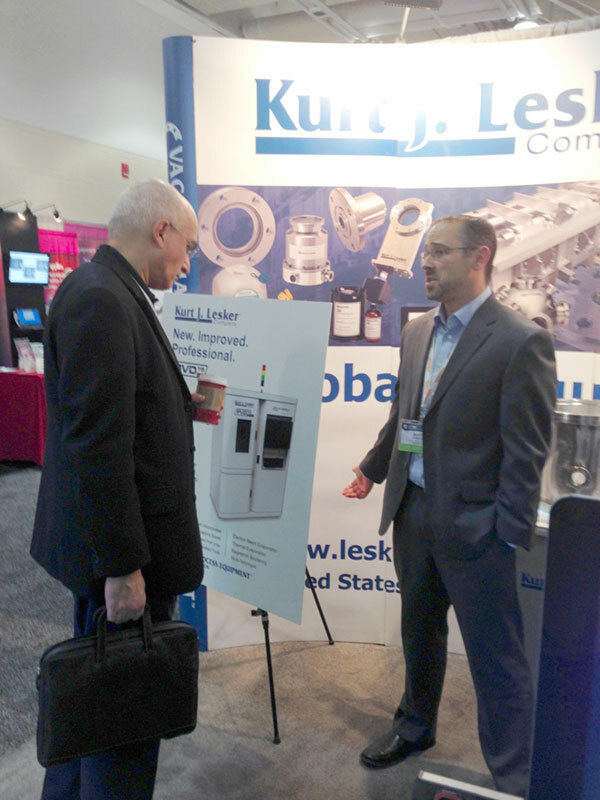 Kurt J. Lesker Company’s new NANO 36™ deposition system was the centerpiece of our booth at the Fall MRS exhibition in Boston recently and it drew many interested inquirers. Our booth was positioned just inside the main entrance, so everyone entering the hall could view the display. We also featured our deposition materials, sputtering sources, the HiPIMS unit, power supplies, and other vacuum components. Our sales team enjoyed talking to past customers and new prospects during the three-day symposium and exhibition from November 28th to the 30th. We are proud to announce that the Big Brothers Big Sisters of Greater Pittsburgh, the Kurt J. Lesker Company, and Clairton Elementary have partnered to launch the Work Place Mentoring Initiative, an innovative onsite approach to traditional 1-to-1 mentoring programs. The program matches 4th grade students from Clairton Elementary with employees from KJLC twice a month. This program provides a unique opportunity for students to explore what’s happening behind the scenes at the company, learn about the site’s different departments, ranging from human resources to IT, and participate in STEM activities. The goal is to provide each mentee with a supportive adult role model, foster the motivation to complete high school, and help them prepare for what comes after. KJLC’s management team feel that this new program is a very worthwhile investment in our community and the children who live here. 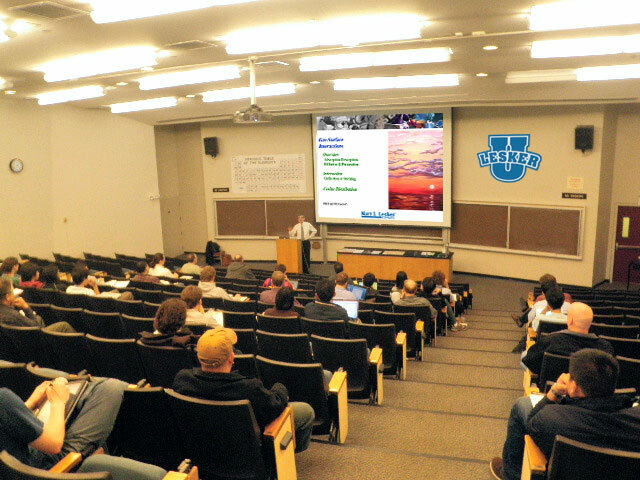 On October 16th and 17th the Lesker Company partnered with the Western Pennsylvania Chapter of the American Vacuum Society to present a two-day workshop at the University of Pittsburgh on Vacuum Fundamentals, Techniques and Deposition Technology. Classes were held at the University Club on the Pitt campus. Presenters from KJLC included Evan Sawyer, Garret Grenek, and J.R. Gaines. Our company provided about 8 hours of content including an Introduction to Vacuum Technology, Introduction to Vacuum Gauging, and Physical Vapor Deposition and Thin Film Growth Models. This bi-annual event is held to provide much-needed training on vacuum technology to regional members of the American Vacuum Society and the student tuition is used to support the efforts of the Western PA chapter. Other presenters included Mr. Chris Horwitz, president of ElectroGrip Company and Ron Hawranko of Leybold USA, Inc. 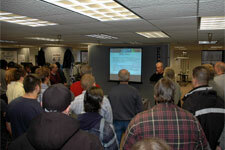 There was a live demonstration of helium leak detection (Leybold) as well as classes on flanges, fittings, and pumps. The Kur t J. Lesker Company will attend and display their products at the American Vacuum Society Int'l Symposium and Exhibition October 31st - November 2nd, in Tampa, FL. Stop by booth 301 to view a sampling of our extensive product line, including: deposition sources and materials, our vacuum valve center, sample manipulation and motion, and the new IMPULSE HIPIMS power module. Our vacuum experts will be available to answer your tough vacuum questions and to give advice. 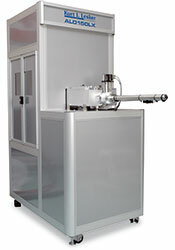 Ask them about the new NANO 36 deposition system—affordable, yet versatile, with seamless glovebox integration. Also, we are introducing our RAP (Research Advantage Packages) which include special deals for magnetron sources and power supplies when purchased in a package. The AVS International Symposium and Exhibition addresses cutting-edge issues associated with materials, processing, and interfaces in the research and manufacturing communities. The weeklong symposium fosters a multidisciplinary environment that cuts across traditional boundaries between disciplines, featuring papers from AVS technical divisions, technology groups, and focus topics on emerging technologies. The equipment exhibition is one of the largest in the world for vacuum science and provides an opportunity to view the latest products and services offered by over 200 participating companies. More than 2,000 scientists and engineers gather from around the world to attend and learn about the state of the vacuum industry. 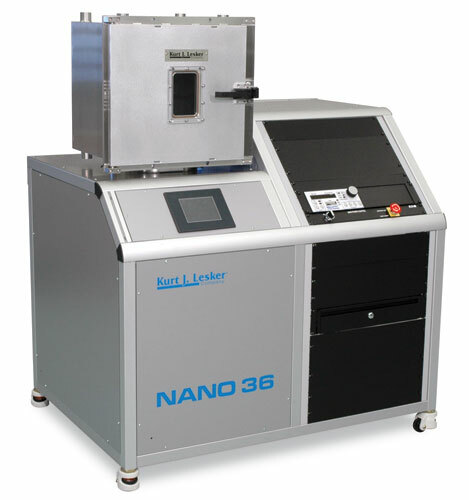 The Kurt J. Lesker Company® today launched the 2018 NANO 36™ Thin Film Deposition System Platform, a newly optimized entry-level deposition system that is fully capable for glovebox integration. The platform offers increased deposition capabilities and substrate platen options with a reduced system footprint. The NANO 36 provides an accessible price point and exceeds all KJLC® quality standards. The 2018 NANO 36 Thin Film Deposition System Platform is compatible with multiple deposition techniques and substrate fixture options. KJLC’s J.R. Gaines was one of the key note speakers at the 2017 Contamination, Coatings, Materials, and Planetary Protection (CCMPP) Workshop hosted by NASA at the Goddard Space Flight Center on July 18, 2017. 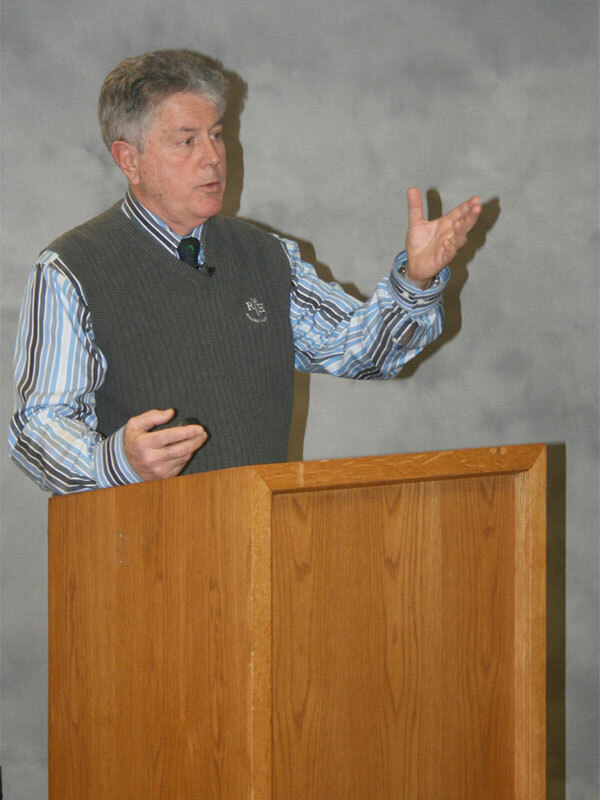 Gaines delivered a lecture titled "Sources and Solutions for Contamination Issues in Space Simulation (TVAC) Systems." A TVAC, or Thermal Vacuum System, is designed to duplicate some of the conditions of outer space to include e xtreme temperature swings and vacuum. The talk was an opportunity to feature several Lesker TVAC systems and our customers' experiences with issues related to contamination from the devices being tested for space travel. 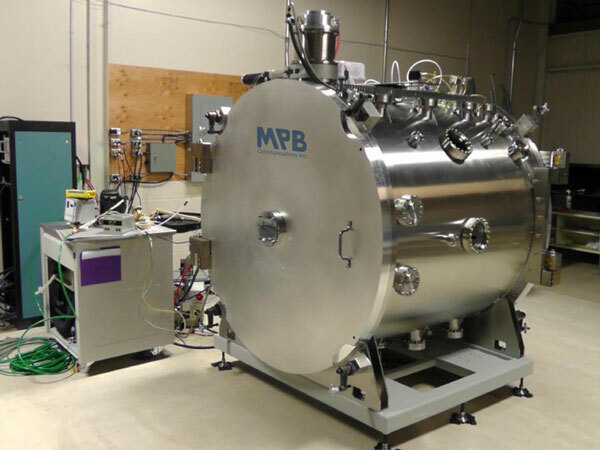 The recent system shipped to MPB in Montreal was featured because it is one of the few TVAC systems in the world designed to rain simulated Martian soil on vehicles designed to roam the surface of the Red Planet. The CCMPP workshop is an annual international event, which brings NASA and private industry experts from Boeing, SpaceX, Northrop Grumman, Steris, and the Japan (JAXA) and European space agencies (ESA), together to share knowledge on the issues of microbial and organic contamination of components leaving the earth. It is critical, in the search for life on other planets, that we do not deposit any of our organic material, like amino acids, on the Moon, Mars, and elsewhere. Consequently, heroic measures including extreme vacuum practice are required to insure that anything bound for space is pristine. The Kurt J. Lesker Company® is pleased announce the promotion of Mr. Noel O'Toole to Atomic Layer Deposition (ALD) Product Manager in our Process Equipment Division (PED). Prior to joining the Lesker team, Noel worked for Intel in both Ireland and Portland,OR as a metals equipment engineer. He has been with KJLC® since 2008 working as a PED Test Engineer. He has also spent the last three years focused on ALD specific testing, contributing to platform design and being the ALD cell leader. This promotion is well deserved and fills a critical role in driving our ALD expertise to the next level. With Noel in place as the Product Manager, Dr. Bruce Rayner as our ALD Scientist, Steve Backfisch as the Mechanical Engineer, Tom Yurechko as the Test Engineer and Duane Bingaman leading Sales, we are very optimistic about the future of the ALD product line at KJLC. Kurt J. Lesker’s Technical Director of Education, Professor J.R. Gaines, was recently invited to speak at a variety of prestigious Asian institutions including: Nanjing University, University of Science and Technology of China, Huazhong University of Science and Technology, Xidian University, Lanzhou Institute of 510, The Institute of Physics, CAS, and Hsinchu TAIWAN's National Nano Device Laboratories. J.R. covered topics ranging from an introduction to Vacuum Systems, Physical Vapor Deposition and Thin Film Growth Models. J.R. Gaines received warm receptions after each class and many of the universities recorded the event so other teachers, students and researchers could view the presentations and benefit from them. We are delighted to be able to serve as a great educational resource for our customers around the Globe and we would like to say a special thank you to these universities for hosting KJLC at their institution. The Kurt J. Lesker Company’s very own research scientist, Dr. Salahud Din, recently had his article ‘Combined Power of Perovskites and Silicon Solar Cells’ featured in two industry leading publications--Vacuum Technology and Coating in the US, and Vakuum in Forschung und Praxis in Germany. The article begins with explaining how silicon solar material, while currently dominating the commercial solar energy market, will soon be competing with the emerging and rapidly advancing technology of thin film based photovoltaics such as organic photovoltaic (OPV), dye-synthesised solar cells (DSSC), quantum-dot (QD) and perovskites (PV). The use of perovskites materials has been asserted as one of the most promising developments in this area of research in recent years, and KJLC has been working with pioneering researchers at the forefront of this technology, such as Professor Henry Snaith of Oxford University. The Kurt J Lesker Company held its first Lesker User Group (LUG) meeting on June 8th and 9th. Many of our local thin film systems customers were invited to the KJLC headquarters in Pittsburgh for additional thin film system software training that included a review of the soon to be released eKLipse™ 3.0 software package. The software upgrade comes from many years of experience and collaboration with our customers. It includes an updated GUI, enhancements to the recipe creation data base, vacuum interlock improvements, and much more. KJLC's two clean areas, thin film systems engineers, PhDs, product management and members of our executive team were available to everyone during the event. Our customers had the opportunity to share ideas amongst themselves and with KJLC thin film experts, some of which included trouble shooting and best practices for magnetron sputtering, electron beam deposition, thermal evaporation, and atomic layer deposition. The LUG was very positive and productive and the next one is already being planned. KJLC is fortunate to be able to work with great people who are working hard to advance existing technologies and create new ones. All the while, KJLC is truly enabling technology for a better world. Dr John Naylor and Dr Salahud Din of the Kurt J. Lesker Company attendedthe Hybrid Organic & Photovoltaic (HOPV17) conference at EPFL, Lausanne, Switzerland on May 21-24. Here they met lead researchers in next generation solar cell manufacture, including Henry Snaith (University of Oxford) and Michael Graetzel (EPFL, Switzerland) who showed where the research into Perovskite and Dye Sensitized solar cells was heading. Certainly, the major research groups involved are working hard to make the technical potential happen and the Kurt J Lesker Company was on site to see how we could enable their technology. One such researcher was Christian Fettkenhauer from the University of Essen-Duisburg who is using a Kurt J. Lesker SPECTROS 100 to develop bismuth-based perovskite thin films. Bismuth has the potential to replace lead in such perovskite structures and is inherently less toxic, so is of great interest. Christian produced a great poster for the conference and is shown here standing next to Dr John Naylor after going through the details of his research to our head of Lesker’s Organic Centre of Excellence (OCOE). The Kurt J. Lesker Company® is pleased to announce that they are now a key distributor in EMEA (Europe, Middle East, Africa) and Russia for Brooks Automation’s industry leading CTI Brand of Cryopumps, Waterpumps, and Helium Compressors, excluding the semiconductor market. Brooks Automation is a world renowned company that manufactures technically superior Cryogenic Vacuum pumps and accessories. KJLC® has built a reputation as a world class distributor of quality vacuum products. KJLC offers its customers: an extensive vacuum product range, unrivalled global inventory, excellent customer service, and outstanding e-commerce solutions. This agreement represents significant opportunities for both organizations. Our customers will benefit from the global presence of both companies, combined with the superior reputation and quality of Brooks Automation’s Cryopumps and KJLC’s proven global distribution network, technical support, and complementary products which support a variety of industries and applications. Jason Hrebik was a part of the Innovators Showcase at the SVC TechConf in Providence, RI on May 3rd. His informative talk on HiPIMS was entitled "Advanced HIPIMS Solution for R&D and Process Development," and drew a nice group of attendees in the Exhibit Hall theater. Talks like these at tradeshows generate much interest in our new products, like our IMPULSE pulsed power module. We are also happy to announce that Jason is the new Chairman of the Exhibits Committee for SVC. We are pleased to announce that the Kurt J. Lesker Co.® has won the Best Innovation Product Award for our HIPIMS IMPULSE power module at the Vacuum TechExpo 2017. The 12th International Exhibition of Vacuum Technologies was held in Moscow and is the only international exhibition in Russia of vacuum equipment, technology, and materials, and cryogenic equipment for the applying of functional coatings. This year, there were 68 exhibitors from Russia, Belarus, Germany, Slovakia, the USA, China, Korea, and Great Britain. A special thanks for the support of Jason Hrebik and our Russian partner - Electrade. Each year the Pittsburgh chapter of Financial Service Professionals has chosen companies that best demonstrate a commitment to ethical practices from nominees in the small, medium and large company categories. Judging is based on factors such as how well a company demonstrates its commitment to ethical practices to both employees and customers, and how those standards are applied in everyday business dealings. Another consideration toward the overall score is whether or not the company offers high quality products and/or services. For 2017 the Lesker Company was selected as the winner in the medium-sized company category, while Michael Baker International, received the large company award, and Synergy Comp of Sharon, PA took the small organization honors. The Kurt J. Lesker Company®, on behalf of the American Vacuum Society, awarded six middle and high schoolers prizes for excellence in the Application of Physics at the 83rd annual Region 7 Science Fair of the Pennsylvania Junior Academy of Sciences (PJAS). 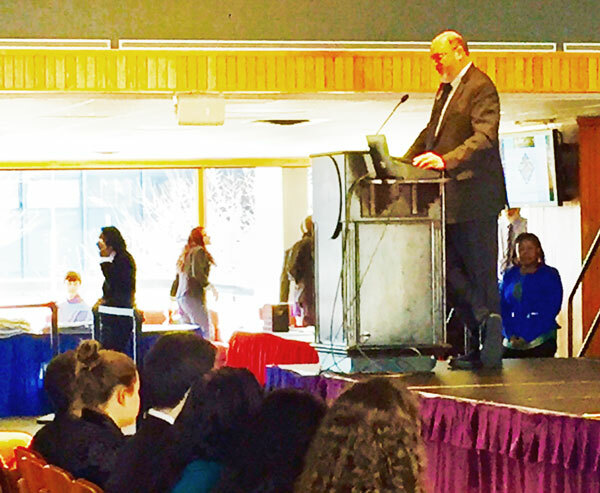 The event took place on February 4th, 2017 at Duquesne University and was sponsored by the Dean of Science for the university, Philip Reeder. 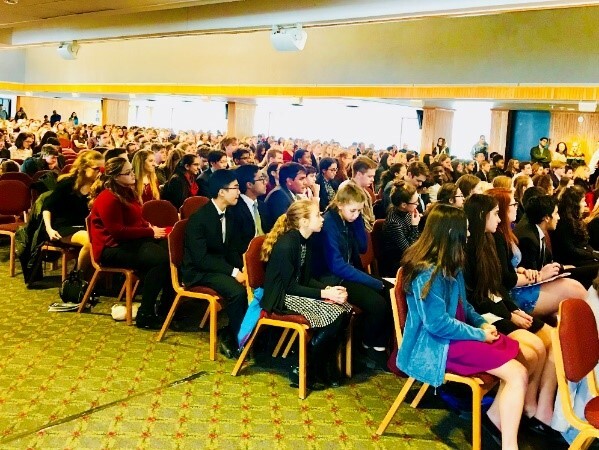 Over 700 students from the two counties that make up region 7, Allegheny and Westmoreland, competed for prizes in physics, chemistry, mathematics, behavioral sciences, biology, computer science, ecology, microbiology, engineering, and zoology. The six awards, of $100 plus a certificate from the AVS, were announced on stage by our representative, J.R. Gaines. He spent the day reviewing student presentations, consulting with the PJAS judges to determine which of the first or second place winners would get cash for their accomplishments. In all, more than $5,000 in prizes was awarded by the Special Award sponsors which included: Bechtel, Westinghouse, U of Pittsburgh, Carnegie Mellon, and several local chapters of professional societies including the American Chemical Society, American Nuclear Society, the Society of Women Engineers, and others. KJLC was proud to be involved this program for the encouragement of young students in their scientific endeavors. KJLC® is proud to announce the release of Lesker Vacuum Guide–its new mobile application available for both the iOS and Android operating systems. This free mobile app puts the entirety of KJLC’s massive online library of technical information at your fingertips. Covering both product specific and general vacuum topics the Lesker Vacuum Guide is the most comprehensive resource of vacuum science information available in the app store. 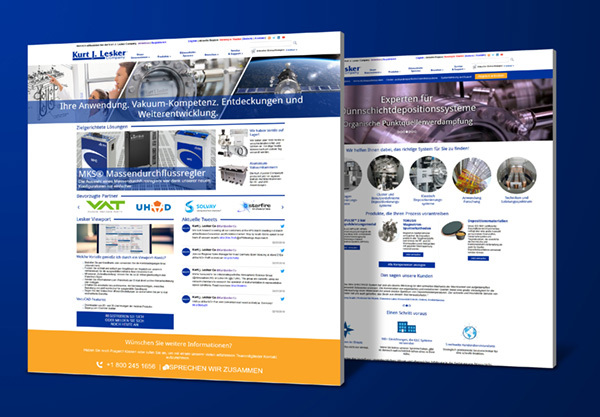 Featuring interactive conversation calculators, FAQs, Technical Information, SDSs, our Innovate Blog, and industry leading Technical Support, the Lesker Vacuum Guide will be a great resource for not only our customers, but also anyone with a need for vacuum science knowledge. To download the free app search for “Lesker Vacuum Guide” in your app store, or go to www.lesker.com/getapp . We are pleased to announce that Zoran Misetic has been selected to be the Vice Chair of the Thin Film Users Group of the Northern California Chapter of AVS for 2017. Over the past couple of years Zoran has actively contributed to the work and events of this users group and KJLC has been a sponsor of their meetings. Zoran currently serves KJLC as our Director of Global Business Development and is based in our Livermore, CA office. The George T. Hanyo Award was established in 1996 by the Kurt J. Lesker Company in the memory of George T. Hanyo, a highly skilled, long-time employee of the company. The award is presented to recognize outstanding performance in technical support of research or development in areas of interest to AVS. 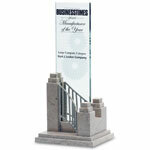 The award consists of a cash award and a plaque setting forth the reasons for the award. The winner of the 2016 Hanyo Award is Stanley B. Christman of Hickory Hill Designs, “for outstanding technical support on a variety of projects at Bell Labs.” He will receive this award during the Awards Ceremony at the AVS Symposium and Exhibition in Nashville in early November. Our sincere congratulations go out to Mr. Christman. We are proud to introduce the IMPULSE™ HiPIMS power supply. This supply is a cost effective solution designed for implementing HiPIMS capability to smaller scale coating applications. It is ideal for process development and R&D applications and can be integrated to any existing sputtering system and sputtering source. This supply requires a DC power supply, which is converted to the HiPIMS power. The IMPULSE unit has a 2kW output and is offered in both a Single and Dual configuration. The Dual configuration provides the ability to power two (2) independent sources up to 2kW each which is ideal for co-deposition. High repetition rates, up to 2 kHz, enable higher deposition rates with shorter pulses. Another option is to run 4kW into a single source, since both units can be set for either “master” or “slave” mode. The Dual option also has a DC bias option for the substrate. If a researcher is using the Dual supply with a single source, he can use the additional supply for a DC bias on the substrate. The IMPULSE has both front panel and remote control options with up to five user-selectable presets. KJLC has these power supplies in stock for immediate delivery. The Kurt J. Lesker Company® is pleased to announce that on October 1st, 2016 they became the exclusive distributor in EMEIA (Europe, Middle East, India, Africa) for Brooks Automation’s industry leading CTI Brand of Cryopumps, Waterpumps, and Helium Compressors. Brooks Automation is a world renowned company that manufactures technically superior Cryogenic Vacuum pumps and accessories. Kurt J. Lesker Company is proud to introduce the 2017 PVD75 PRO Line Thin Film Deposition System Platform. The 2017 PRO Line Series builds upon the successes of the workhorse PVD75 that has been updated to bring new and exciting innovations to the PVD marketplace. 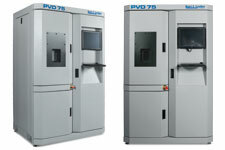 As always the PRO Line PVD75 is available for magnetron sputtering, electron beam evaporation, and thermal evaporation, but the 2017 PRO Line has been redesigned so that the user can achieve true personalization while “designing” their system. Scientists can configure the system to meet their unique requirements by selecting from the multitude of standard options possible with this tool. They can choose leading edge options such as HiPIMS and pulsed DC sputtering, high temperature (up to 1000 deg C) heating options, ion assisted deposition, zero footprint clean room installation, glove box interface, and “smart” system monitoring and control. Despite its enhanced options, the 2017 tool will be priced below the previous version of our PRO Line system. Since its initial launch the PVD Series has been the workhorse of our line of deposition systems, with over 1500 systems in the field. Kurt Lesker’s 2017 PRO Line will become the cornerstone of any research effort. Go to www.lesker.com/go/2017-PVD75 for more information. The Kurt J. Lesker Company won the Innovation Award at the Exhibition on Vacuum Technologies and Materials Treatment last week in Nancy, France for our Hydra~Cool™ chamber cooling technique. Romain Caignart (shown with the award in the photo), Regional Sales Manager for northern France, gave the presentation about the technical advantages of Hydra~Cool over traditional chamber cooling methods. The people who judged the competition then visited our booth to get more technical details. We are proud to share this award with all of our company, especially with those who worked on developing this new product. Kurt Lesker (Shanghai) is pleased to announce that J.R. Gaines, the Technical Director for Education at the Kurt J. Lesker Company, is doing Lunch and Learn meetings in Asian countries from May 17th to 27th. The main topics are basic vacuum technology and thin film deposition technology. So far, Mr. Gaines conducted Lunch and Learns in the National University of Singapore, Singapore University of Technology and Design, The Hong Kong Polytechnic University, The Hong Kong University of Science and Technology, University of Science and Technology of China, and the Institute of Microsystem and today he is at Shanghai Synchrotron. He will go to the Institute of Modern Physics, Chinese Academy of Sciences in Lanzhou, Gansu Province on May 26th and 27th. These training sessions are a great help to our Asian customers to help them understand vacuum technology and increase their awareness of vacuum products and our role as a major supplier of vacuum components in Asia. J.R.’s courses received good feedback from our customers, teachers and students, and they had good communications with J.R. during the class. We have already received requests for more of these classes in Asian countries in the future. The Kurt J. Lesker Company® is pleased to formally announce the official release of our newest magnetron design─the Torus® Mag KeeperTM UHV compatible circular magnetron sputtering source. These sources have been specially designed to meet the requirements of the R&D community for a user-friendly source that fits a broad range of applications. With a quick target change feature, enhanced “patent pending” cooling design, low operating pressure capability, and reduced overall footprint, the Mag Keeper design is geared to provide the enhanced performance and flexibility each process requires. In addition, the source is engineered with no O-rings and all ceramic insulators, making it a UHV compatible design option. For magnetic film deposition, the Mag Keeper offers enhanced high strength magnet options for sputtering up to 3mm thick Fe. The Mag Keeper is the standard configuration used in our system platforms and offered to our customers worldwide for use in existing systems. Our broad range of mounting options allows us to integrate to any existing mounting requirement. With offices worldwide, the Kurt J. Lesker Company has the capacity to provide real-time and or on-site support as necessary to make sure our customers are realizing the full scope of our products’ advantages with minimal or no downtime. The new Mag Keeper sources are in stock and offered in 2”, 3” and 4” target sizes. Please direct any inquiries to sales@lesker.com. Kurt J. Lesker IV was one of the four panelists featured at the Institute for Entrepreneurial Excellence Family Business Day. Kurt was joined by other Family business leaders in the region to discuss communication among generations, what goes on behind the scenes, the factors of effective succession planning, and ways they each manage potentially difficult business decisions among their family. Hundreds of family business owners from around the region gathered to listen and hopefully walk away with valuable ideas and information to implement within their own business and practices. The panel consisted of: Michael Mascaro, Executive Vice President/CCO, Mascaro Construction Company (2nd generation); Kurt J. Lesker IV, President & CEO, Kurt J. Lesker Company (3rd generation); Karin Mayr, Founder & CEO, Sabika (1st generation); Chuck Turner, President, Turner Dairy (3rd generation). The key note speaker was Vitamix President and CEO Jodi Berg (4th generation). KJLC's vacuum expertise was on display Thursday when our own Jason Hrebik gave a session talk on “Advanced Characterization and Performance Comparison in HiPIMS” at the 2016 SVC TechCon. The show itself was very productive, and Jason's talk helped to display KJLC knowledge while supporting our mission of “Enabling Technology for a Better World.” Our 20’ booth just inside the entrance attracted a lot of attention from show visitors. KJLC EMEIA Headquarters are delighted to introduce the new members of our Team: Georgia Baker, Sylvano Graziani, Becky Bowley and Jon Ward! Georgia joins us as Customer Service Representative, where she will have a strong role supporting the sales team. Georgia has had considerable experience in customer facing roles, most recently at an Insurance company working within retention and fraud. Sylvano Graziani will be taking on the role of External Sales person for Southern France and French Swiss. Sylvano joins us with over 34 years' experience in the Silicon, Semiconductor, Solar and Aerospace industries. Becky Bowley joins our Internal Sales team to oversee the UK South territory. Becky has previously had 11 years' experience working for an insurance company where she has gained significant understanding of Customer Service and Sales. Jon joins the Manufacturing team in the role of Product Specialist. Jon comes from over 20 years' experience in Engineering, having worked in tool making and precision sheet metal. We look forward to the all skills and knowledge they will bring to Lesker's, and we wish them every success! We would also like to announce that Piotr Stefaniuk has made the successful transition into the position of Internal Sales person for Eastern Europe North. Semicon China 2016 was held from March 15th to 18th in the New International Expo Center in Shanghai. 900 exhibitors and over 20,000 trade visitors were present and acquired information about the latest products, innovation, and brand images in a venue covering over 60,000 square meters. Kurt Lesker (Shanghai) Trading Company has actively participated in Semicon China over the past 5 years. We had a successful show again this year and we built up our reputation in China through the show. We had good meetings in our booth for three days—there were always lots of visitors around our booth. We received high comments for our professional booth and team from our customers and visitors. A Chinese saying: The good year starts from a good spring. We believe that with our good quality products, professional staff, and excellent customer relationships, we will have a brighter business in the following 2016. Duane Bingaman, Vice President-Process Equipment Division, gave a presentation on the “Advances in Thin Film Technology” to a full house at the Northern California AVS meeting. Duane specifically discussed the technology on low pressure sputter source deposition using precision shadow mask and novel sputter systems design for precision optics. By all accounts the talk was a huge success to an attendance that was a wide variety of Silicon Valley professionals involved in the NCCAVS. ​ KJLC will continue to be involved in local AVS chapters to share our expertise and to brand our company as the experts in vacuum science. Over the weekend, KJLC attended the Hyperloop Design Weekend at Texas A&M University. KJLC was approached by SpaceX to work with them on the construction of the test track this summer, and therefore invited as a VIP to the Pod design event. Over 100 of our University customers were represented with engineering teams and their designs for the best pod possible. Charlie Ulbricht from our South Central territory was there to represent KJLC and was able to meet with many of our customers. This is an exciting technology that meets KJLC's mission of Enabling Technology for a Better World! KJLC Ltd is well positioned from a geographical and cultural perspective to grow our business in Europe, but also to better service our customers in the Middle East, India and Africa which is why we are forming a new region, effective January 1, 2016, called EMEIA (Europe, Middle East, India, Africa). This new geographical territory will be managed by KJLC Ltd.
Zoran Misetic and the ROW team have done a tremendous job growing the MEIA territory over the past few years. This involved many trips and conference calls at all hours of the night to make sure customers were being serviced effectively. These geographical territory changes are part of KJLC’s growth strategy and will allow KJLC to take a step closer to becoming our customer’s primary vacuum supplier by providing more real time customer service and local language capabilities. We are pleased to announce that Richard Whitehouse, Lydia Holt, Piotr Stefaniuk and Francois Clement have taken on new roles within Kurt J. Lesker Company Limited. Richard Whitehouse, our Internal Sales Manager for EMEIA, shall now also be looking after our Middle Eastern, Indian and African customers as part our new EMEIA office set up in Hastings. Having previously looked after our Dutch and Nordic customers for 10 years, he is looking forward to the new challenges ahead. Previously Territory Sales for UK South Territory, Lydia is now responsible for; Netherlands and Nordic Countries working alongside Edwin Bakker as Regional Sales Manager. Lydia also maintains her current role as Internal Sales Co-ordinator supporting the Internal Sales Manager. Piotr joined KJLC Ltd as Customer Service Representative, but now we are pleased to announce that he has taken on a new position as Territory Sales for UK South, joining Paul Goodall as Regional Sales Manager for the area. Having spent 4 years as Regional Sales Manager for the North of France, Belgium and Luxembourg, Francois now brings his years of expertise as Technical Sales Manager for EMEIA, co-ordinating systems sales in this expanding region. We wish them every success with these new and exciting challenges! Please give a warm welcome to the newest addition to our team at European Headquarters, Anja Wright. Anja joins us as Territory Sales for Germany (North and East). Fluent in German and with 5 years' experience in the vacuum industry, Anja is sure to be an excellent addition to the sales team. 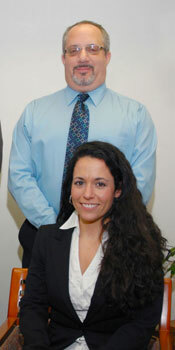 We are pleased to introduce our newest additions to the Kurt J. Lesker Sales Team. Please give a warm welcome to Janis Brandes, Romain Caignart and Valerie Picard! Janis is now part of the external sales team as Regional Sales Manager For Germany West. He has a degree in Industrial Engineering which he completed at the Braunschweig University of Technology. With this degree under his belt, Janis spent four years working with the Fraunhofer IST in Braunschweig specialising in solar panel and thin film research. Romain joins the external sales team as Regional Sales Manager for Northern France, Belgium & Luxembourg straight from gaining 5 years’ experience as a Sales Manager in France, selling equipment for dispensing materials to industries such as Aerospace, Automotive and Microelectronics. Prior to his career in sales, Romain was awarded a Bachelor’s degree which combined Industrial trade and aeronautical maintenance from the University of Toulouse. Valerie joins the internal Sales team, taking over responsibility for the regions of Southern France and French Swiss. Originally from Paris, Valerie embarked on a Master’s Degree in Languages with a specialisation in Business at the University of Bordeaux. Valerie has since had a varied career, bringing with her to Leskers experience in Sales as well as knowledge of working within a global company as an Executive Assistant. Valerie moved to the UK in July of this year. We look forward to the wealth of skills and knowledge they will bring to Lesker, and we wish them every success within the company. Kurt John Lesker III, a man who truly loved every moment of life, was surrounded by his children and loving wife when he passed away on October 24th. He died at the age of 66 after a courageous battle with rhabdomyosarcoma, a rare form of cancer. A Pittsburgh native, Kurt grew up in Whitehall and graduated from Baldwin High School in 1967. His yearbook has him listed as "handsome and popular"...that never changed. Kurt’s relentless sense of adventure and joy of life was infectious to everyone he knew, and through them his SPIRIT will live on. Kurt III’s father founded Kurt J. Lesker Company (KJLC), a science based technology and equipment business, in 1954. Kurt III left Rockwell International and joined the company in 1979 as President. Over the past 36 years Kurt’s vision and leadership have been instrumental in expanding KJLC from a regional distributor into an international manufacturer. He opened offices throughout North America, Europe and Asia, which has been key in allowing the company to compete in a global marketplace. As a respected global business leader he was nominated for several entrepreneurship awards and served on a variety of boards. Kurt was extremely proud of his KJLC family for their role in enabling technology for a better world. Kurt received his BS in Industrial Engineering from Lehigh University in 1971 and MBA from the Tuck School of Business at Dartmouth College in 1976. He was a Lieutenant JG in the United States Navy and served on the USS Lowry from 1971-1974, during the Vietnam War. He was also an instrument rated pilot with over 2500 hours, a licensed scuba diver, avid mountaineer and skier, motorcycle enthusiast, and C-licensed soccer coach. Kurt was the beloved and cherished husband of Cindy Bland Lesker for 42 years, a loving father to Kristin (Joe) Eisel, Kurt IV (Laura) Lesker, Jenna (Nick) Lloyd, fun-loving Pap Pap to Monti, Giavanna, & Brooklyn Eisel, and The Dogfather of Moxie, Bogey, and Charlie. He was the son of the late Kurt Jr. and Virginia Lesker, the brother of Mark (Bonnie) Lesker and Lisa (Michael) Bevenour, and son-in-law of Evelyn and the late Ray Bland. He is also survived by several nieces, nephews, cousins, and incredibly good friends. NCCAVS Thin Film Users Group announces their next meeting to be held July 30th at the Semi Global Headquarters in San Jose, CA. This meeting focuses on thin film materials and processing technologies related to Biomedical Applications. Cindy Meyer-Hunt of the Kurt J. Lesker Company will be presenting her talk, "ALD for Biomedical Applications" at 1:10 p.m. The Kurt J. Lesker Co. is a co-sponsor of this meeting. Abstract: The unique method of developing a 100% conformal film one atomic layer at a time makes Atomic Layer Deposition (ALD) the ideal process for many emerging biomedical applications such as interfacing between implants and the human body to improve abrasion and corrosion resistance as well as friction reduction. The nanometer coating characteristics also prevent cracking of porous structures preventing the formation of detrimental particles inside the body. These thin film coatings can also be used as bacteria resistant surfaces. Various ALD biomedical applications will be touched on briefly in this short session. Kurt J. Lesker Company Ltd is delighted to receive a diploma award for "Newly designed equipment" at the recent Vacuum Tech Expo held in Moscow, Russia. The award was part of "The Best Innovative Product in High Technology Industry" which saw KJLC winning for their Isoflux Magnetron Sputtering Sources. Isoflux Inverted magnetrons also known as hollow cathode magnetrons - use cylindrical targets to surround the substrate with coating material - ideal for coating complex 3D shapes, wires and many other substrates. The cylindrical design results in up four times improved overall system efficiency compared to conventional planar magnetrons. Kurt J. Lesker Company® work closely with Russian partners Eltech, providing a range of Deposition Systems in the territory supporting customers' needs research and development. Nicholas joins European Headquarters as Territory Sales Manager for Germany & German speaking countries. Dr Nicholas Luzzietti, who gained his PhD at TU Dresden has a wealth of technical experience having previously been employed at NanoTemper Technologies as Application Specialist & Sales. Amier Al-Zaky joins to support Tina Mueller as Territory Sales, gaining experience as a Laboratory and stock manager for a company building circuit boards on behalf of Microsoft, Apple & McLaren. From Germany he studied Business and has lived in the UK for 4 years. Now settled with his wife in East Sussex he is looking forward to doing great things at Kurt J. Lesker Company. We wish them all every success. The Kurt J. Lesker Company® is pleased to announce the appointment of Jason Hrebik to our Process Equipment Division as a Senior Product Manager. Jason brings with him over 16 years' experience in the vacuum industry and will be primarily responsible for handling deposition sources and power supplies. Due to increased demand The Kurt J. Lesker Company® today announced the expansion for speciality manufacturing at its European Headquarters. Currently the UK operation has seen the production of Electrical Feedthroughs, Liquid Feedthroughs, and custom components. However further investment will allow KJLC® additional resource creating a dedicated manufacturing team, specialising in stainless steel products. Additional capital equipment will provide the capability to machine a 1mtr³ envelope for vacuum related applications. This investment will enable KJLC to support the high demand for quality vacuum vessels and components across Europe at competitive pricing and shorter lead times. KJLC has built a reputation as a world class manufacturer and distributor of quality vacuum products. Offering customer’s an unrivalled global product inventory, excellent customer service, and outstanding e-commerce solutions. Founded in 1954, Kurt J Lesker Company has grown into a highly recognised global organisation supporting the high and ultra high vacuum market. Serving industries; LED, Optics, UHV/ Synchrotron, Electronics, Decorative Coating and R&D. KJLC provides the most complete line of products and service solutions in the vacuum industry worldwide. Edwin Bakker joins the European Headquarters as Territory Sales Manager for the Netherlands and Nordic countries, (Denmark, Norway, Sweden & Finland). KJLC® European Headquarters is pleased to announce 3 new employees to join their Sales and Manufacturing departments. He joins with a wealth of vacuum experience having previously worked for Agilent Technologies as Sales Manager for 7 years and Pfeiffer Vacuum for 8 years. KJLC® European Headquarters is pleased to announce 3 new employees to join their Sales and Manufacturing departments. Edwin’s expertise is hardware and pumps, having completed training with the Dutch Vacuum Society at Delft University of Technology. KJLC® European Headquarters is pleased to announce 3 new employees to join their Sales and Manufacturing departments. As a newly created role, clear evidence of the Lesker expansion across Europe, Edwin is enthused by the wider product range, particularly Materials and Process Equipment Systems and is keen to increase the Lesker brand and grow business throughout his territory! KJLC® European Headquarters is pleased to announce 3 new employees to join their Sales and Manufacturing departments. In conjunction with the 6th UK Trade & Investment Export Week, South East export Chief & MP Lewis Scott visited European Headquarters for a tour of the facility with an insight into European Manufacturing & Engineering capabilities. On site he met with European Chairman Tim Pearce and MD Adam Bartlett and learned of the KJL European history and its growth in last 25 years. In terms of growth KJLC Ltd have just celebrated their first £1million day milestone, Lewis was suitably impressed establishing that 80% of turnover is a direct result of export across Europe. Adam states "Exports are of course vital to what we do and we are looking to continue our expansion by further driving our efforts across Europe"
The international AVS being held in Baltimore this week was a very large success. Positive feedback from our customers and potential customers, as well as a buzz surrounding the KJLC booth are great signs. More to follow. We hope you had a productive and stimulating week filled with discussions and new insights. We were pleased to have Professor Tobin Marks, Vladimir N. Ipatieff Professor of Chemistry and Professor of Materials Science and Engineering at Northwestern University, and Adjunct Professor at Texas A&M University Qatar (TAMUQ), present the plenary lecture entitled "New Materials Strategies for Hybrid Electronic Circuitry." Professor Marks' lecture focuses on the challenging design, characterization, and realization of new materials for creating unconventional electronics - and hence touches almost every AVS Division/Group. Although AVS owes its existence to the development of vacuum science, which originated largely as a result of space exploration, the Society has adapted its mission to remain at the leading edge of science and technology. Where else can you learn about state of the art characterization techniques such as atom probe tomography and synchrotron analysis at the same conference as emergent areas of interface science and device fabrication? AVS was a success, with many customers visiting KJLC, as well as some very successful dual branding with key partners VAT and UHV Design. The grand prize winner of a MacBook Pro was Ylje Jang from University of Pennsylvania! KJLC Ltd enjoyed an extremely fruitful day at Tec 66, hosted by Sussex Coast College, sponsored by local councils, UK Trade and investment and the Science & Technology Facilities Council. Tim opened the event with a welcome speech to visitors and exhibitors as conference chair. 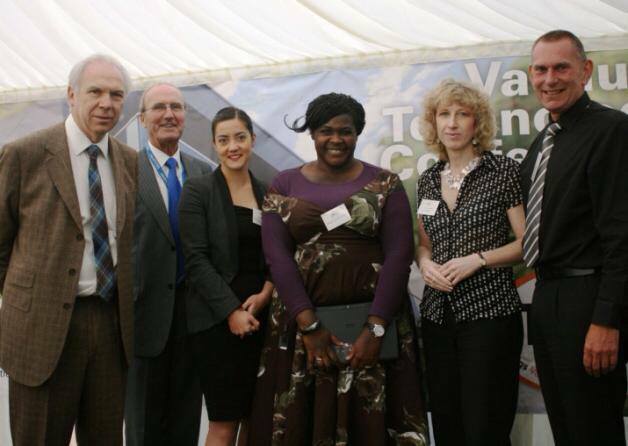 A wealth of companies exhibited including local cluster vacuum companies, Southern Universities and trade officials. The day opened with informative presentations from top Scientists and Business advisers, in conjunction there were individual exhibition stands with an amazing range of vacuum products and services available from East Sussex Companies. The scientists told us of the latest developments in Space, Organic Electronics, Cryogenics, Photonics and the new 'wonder material' Graphene. The Business presenters covered subjects on how to protect our intellectual property and how to go about securing Grant support. Where else would we find, in one exhibition such a varied, comprehensive and relevant mix of information? Well done Hastings, well done all the manufacturers and exhibitors and thank you to the local Councils for making this all happen at such an iconic venue. A number of employees from European HQ recently experienced the ten week "High Vacuum Technology" as ran by Sussex Coast College in Hastings. The aim of the course was to enhance the vacuum knowledge of attendees by covering a number of topics including; What is vacuum, vacuum measurement, pumps, materials, systems and applications. Katie Binns as featured in the article states; "Having been at Lesker’s for two and a half years the course gave us insight into the bigger picture, all factors that are considered in vacuum, i.e design, volumes, distance etc. The course would be ideal for somebody new to the industry without previous product experience". 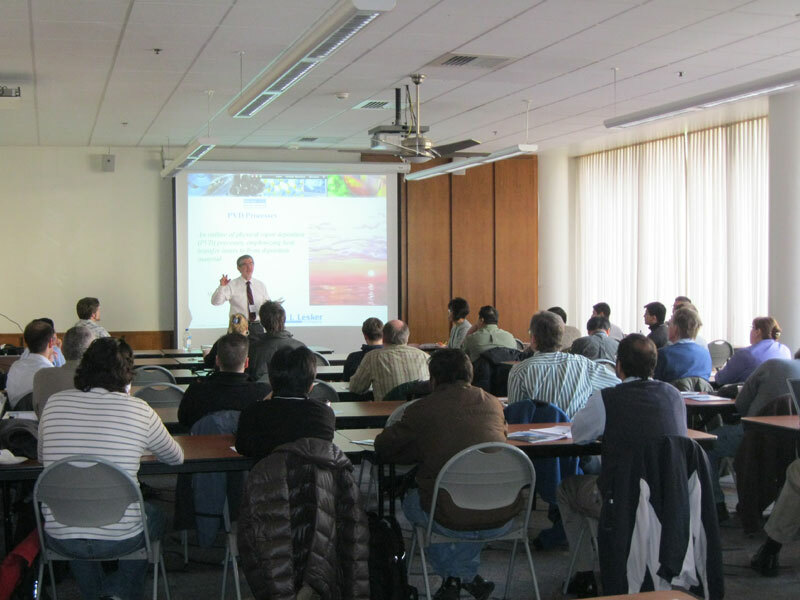 Kurt J. Lesker Company® sponsored a Thin Film User Group meeting at SEMI in San Jose that was attended by 70 people. Dave Glocker, from ISOFlux Inc., gave an excellent talk on the uses of inverted cylindrical magnetron sputtering in Biomedical applications. Kurt Lesker IV, Zoran Misetic, Pierre Hraiz and Velibor Mandic were in attendance from KJLC. Free Lunch in San Jose, CA sponsored by the Kurt J. Lesker Company begins at 12:30 PM; Talks beginning at 1 PM on Tuesday, August 19, 2014. This free seminar focuses on thin film technologies and applications related to Biomedical Applications. The purpose of this seminar is to bring together leading researchers in academia, government, and industry with innovative technologies to nurture a free exchange of triumphs and challenges in the advances in Biomedical Technology applications. For more information please follow this link to the group's website. The European KJLC Team Has Grown! KJLC® European Headquarters is pleased to announce 3 new employees to join their Sales and Manufacturing departments. Joining manufacturing is Stuart Clark. Stuart has spent the last 4 years working in product support for a nearby Hastings firm TE Connectivity, having gained an ONC in engineering and customer service experience. Stuart is looking forward to strengthening his vacuum product knowledge and is excited by the opportunity of being part of our rapidly growing manufacturing cell in the UK. Our Sales department will be joined by Fred Hirtz, who will be covering the South of France while Morgane Lepiniec is on maternity leave. 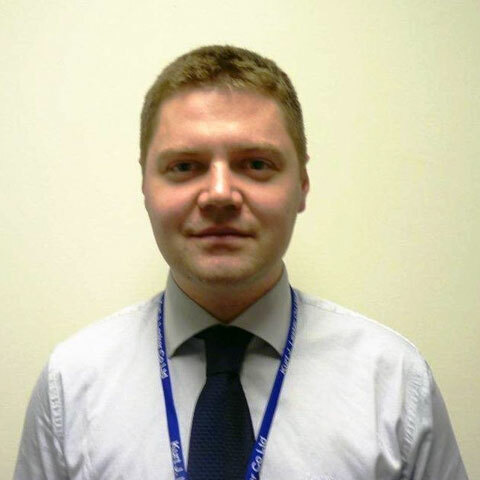 Also Piotr Stefaniuk, our new Customer Service Representative will be working alongside our current sales team. 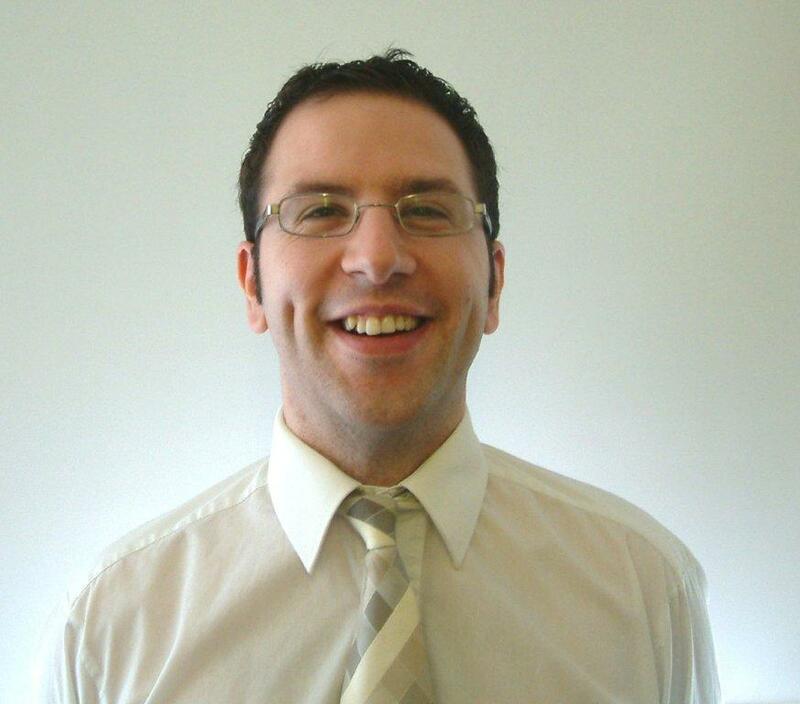 Fred has studied Medical and Social Sciences at Bordeaux University and English at Cambridge University in 2005. Previously Fred has worked in Customer Service and Marketing Support for R&D & Government companies. Having joined our growing sales team he is happy to be part of a successful company. In the last few years, Piotr (Peter) has been working as Front of House Manager at the White Rock Theatre in Hastings and more recently as an Operations Manager for a national chain of Cinemas. Piotr brings with him a wealth of experience working in the Customer Service industry and is really looking forward to using his experience, together with his self-motivation and hard-work, to help support the European Sales team. The Kurt J. Lesker Company® is proud to announce the addition of a new multi-gauge controller to their pressure measurement product line. The MGC4000 multi-gauge controller has the ability to display pressure measurements from up to 10 different vacuum gauges simultaneously. The instrument, able to provide pressure measurements from 1000 Torr to 2x10-11 Torr, can be configured to display up to six gauges in a single screen or any number of gauges can be assigned to various screens for auto scrolling of display. Customers can easily configure the MGC4000 to their exact specifications on our website by specifying the number of gauges, set points, and AI/AO they need. This allows them to only purchase the level of functionality that they need, offering the user low cost of ownership and unparalleled ease of use. Please see our KJLC Multi-Gauge Controller – MGC4000 page for more information. Hastings; home to our European Headquarters is pleased to host the annual vacuum cluster event for the second year running. Yet again Kurt J Lesker Co Ltd will be at the forefront in supporting this event, with a presentation from Tim Pearce on the advances in Organic Electronics, Vacuum Technology and Cryogenics. This year’s event will take place at Sussex Coast College in Hastings on October 27th and will see not just local vacuum companies but those from across the world. Based on the success of 2013, we anticipate this event to be even bigger and better, for more information, to visit or exhibit contact: info@tec66.co.uk or visit http://www.tec66.co.uk/about/foreword to find out more! Tuesday night, the ACS Energy Technology Group welcomed our own JR Gaines to give a talk on the development of thin film, solid-state, and rechargeable batteries. In addition to their extraordinarily small form factor, these micro-batteries demonstrate several great properties including near perfect charge/discharge performance over thousands of cycles, high energy and power densities, and extremely low self-discharge rates. This presentation discussed specific characteristics of these revolutionary batteries, comparisons with competing batteries, the manufacturing process, key players in the industry, and the impact of the micro-battery on future product designs. Barriers to wide-spread commercialization were also discussed as well as the role of the Kurt J. Lesker Company in this emerging industry. The Kurt J. Lesker Company® (KJLC®) is proud to announce the celebration of 60 years in business. Our founder, Kurt J. Lesker II, started the Kurt J. Lesker Company on April 1, 1954 in the basement of his home in Pittsburgh, PA. Since then, KJLC has grown from a regional manufacturer and distributor of vacuum components into a worldwide provider of a full range of vacuum parts, products, systems, design technologies, innovative thinking, and responsive customer service. Working with an attentive eye toward quality, environmental stewardship of resources, and customer satisfaction, KJLC serves the research and development market at both the academic and commercial levels, as well as providing vacuum products and services to industry on a global scale. Following our successful expansions into Canada and Europe, KJLC has continued to reach out globally, with the opening of our Shanghai, China office in 2007 and our newest location in Hong Kong. As a leading global provider of high-quality vacuum products and systems, along with an established tradition of service and attention to detail, the Kurt J. Lesker Company has built a reputation for being "A Global Vacuum Supplier." The Kurt J. Lesker Company® has recently launched a brand new Feedthrough Selection Guide on its website. The Selection Guide is a user friendly tool that helps users select the proper feedthrough for their application based on their specific requirements. This visual guide makes selecting the correct power, instrumentation, thermocouple, liquid, gas, liquid nitrogen, ceramic break, or fiber optic feedthrough quick and easy. Once the desired feedthrough has been defined, that part’s detailed drawing, part number, and price are displayed and the part can be placed into your online shopping cart. Click here to try the new Feedthrough Selection Guide. Kurt Lesker Trading Company was an exhibitor at SEMICON China 2014, held March 18-20 in Shanghai. SEMICON China is a world-famous semiconductor industry event, serving China's dynamic market and semiconductor manufacturing industry. As one of the largest manufacturers and distributors of vacuum components and systems globally, the Kurt J. Lesker Company showed the company’s new products and technology projects in our booth, attracted many customers from all over the world, and won high acclaim from our peers and other exhibition visitors. The Kurt J. Lesker Company® today announced their new facility at its European Headquarters for Specialty Manufacturing. This investment will enable the production of Electrical Feedthroughs, Liquid Feedthroughs, and custom components. KJLC® has successfully manufactured vacuum components at their US headquarters for over 25 years, specialising in the fabrication of stainless steel and aluminum products for vacuum related applications. The new European facility, or Quick Turn Cell as it will be known, will support the continued production of important components for a growing market. This new addition shows KJL’s dedication for growth in supplying quality products at competitive prices across Europe. KJLC has built a reputation as a world class manufacturer and distributor of quality vacuum products. KJLC offers its customers: an extensive vacuum product range, unrivalled global inventory, excellent customer service, and outstanding e-commerce solutions. 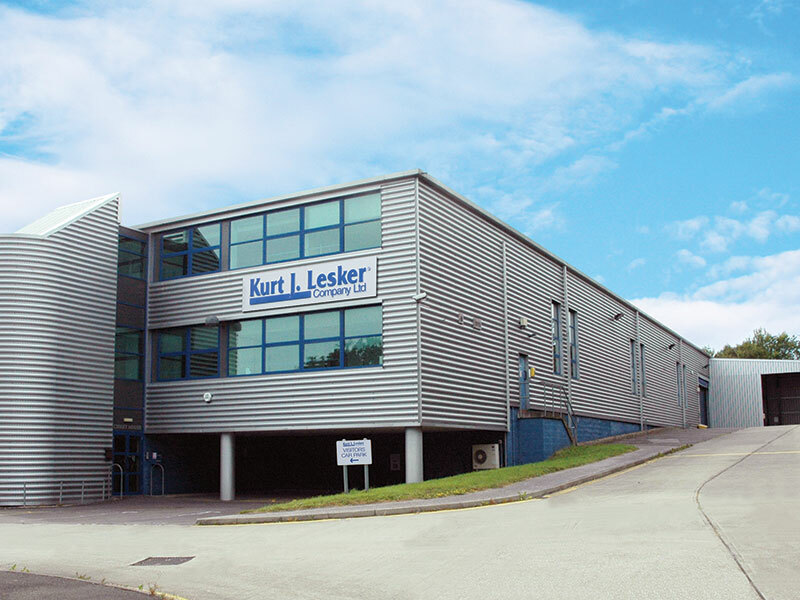 Founded in 1954, Kurt J Lesker Company has grown into a highly recognised global organisation supporting the high- and ultra high vacuum market. Through their four divisions–Vacuum Mart, Process Equipment, Materials and Manufacturing–KJLC provides the most complete line of products and service solutions in the vacuum industry worldwide. 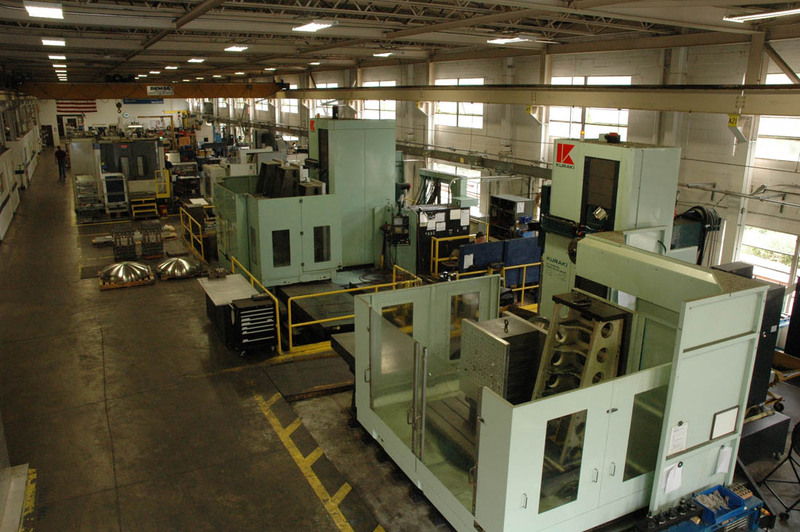 From the simplest components and fittings to intricate vacuum chambers and precision computer-controlled deposition systems, they work closely with customers to devise sound and economical solutions. Sarah Owen, MP Labour candidate for Hastings & Rye, recently travelled to China on an exchange visit to discuss the growth of vacuum technology in the Hastings & Rother area. Ms. Owen visited two developing cities in Southern China which have recently seen a surge in industrial engineering and high tech manufacturing. Discussing future global investment and moving forward with the support of R&D establishments Sarah states, “Businesses in Guandong are crying out for the quality that Hastings businesses can offer, as much as we are for high quality jobs.” Home to established names with excellent experience in service, we need to expand on our reputation, not just nationally, but globally. The recent Tec 66 Exhibition saw a cluster of local high tech manufacturing companies convene to raise awareness of what the town of Hastings has to offer. Sarah aims to attract more international exhibitors in 2014, thus building links and creating an international supply chain. 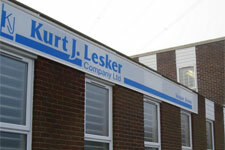 Kurt J. Lesker Company Ltd has been at the forefront as one of the most recognised companies in Hastings. The European headquarters has been established for over 20 years, having grown into a resilient organisation, with multi-lingual sales staff, experienced designers and high-class engineers. They all strive together to produce high quality vacuum products supported with superior customer service. For more information on Sarah’s trip, click here. 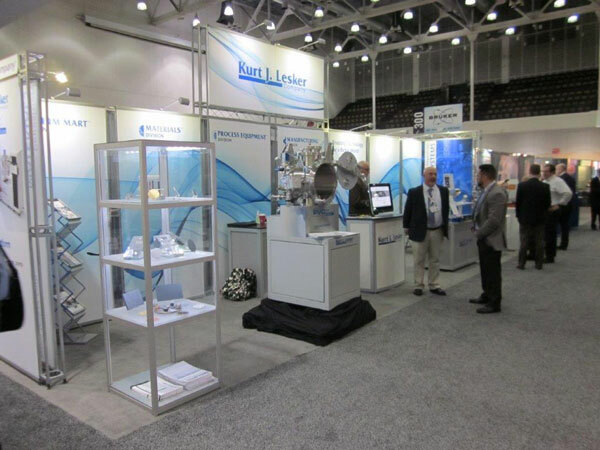 Kurt J. Lesker Co® exhibited again this year at the Fall MRS Symposium and Exhibition, held in Boston, December 3-5. This year we positioned the Materials and PED Divisions in one booth and the Vacuum Mart and Manufacturing in a separately located booth. Besides displaying our standard deposition materials, we had two touchscreen monitors available for customer interaction in the PED portion of the booth. In the Mart booth, we had a prominent display of our new line of VAT® valves, along with our offering of UHV Design manipulation products. Over 6,000 attendees visited the symposium and exhibition this year. All in all the show was success for KJLC® and we hope to reap many benefits as a result of our contact with new and old customers alike. Lola joins us as Internal Sales representative for the Iberian Territory. Her expertise in sales and business development will be a great asset to a growing territory. We are pleased to welcome Paul who has 30 years dedicated experience in the vacuum industry, a specialist in pump selection & thin film applications. John joins the growing Process Equipment Division as System Sales. With 19 years’ experience in Vacuum Technology his understanding of the Semiconductor market specialising in Sputtering and Ion tools will be invaluable. We wish all of our new starters a prosperous career at Lesker’s. In an article printed in the New York Times this week entitled "A Key to Quantum Computing, Close to Home" that focused on advancements in materials research related to quantum computing, KJLC® R&D Scientist Salahud Din’s contributed research on "Potential for spin-based information processing in a thin-film molecular semiconductor" was referenced. Seeing the research of our scientists referenced in a major mainstream publication such as the New York Times further shows how, with our customers, KJLC is working to Enable Technology for a Better World. Heidi Hince traveled with Nuno Andrade to Philadelphia and New York City to conduct two Lunch and Learn lectures. They took in a catered lunch of sandwiches and cookies and Heidi talked about sputtering and sputtered films at the University of Pennsylvania and CUNY at City College of New York. There were about 10 attendees at UPenn in their brand new Krishna P. Singh Center for Nanotechnology where we are quoting some new sputtering systems, and about 15 at CUNY. The sessions were short and informal and went very well. The attendees asked a lot of questions and were happy to take a materials deposition chart with them at the conclusion of the training. 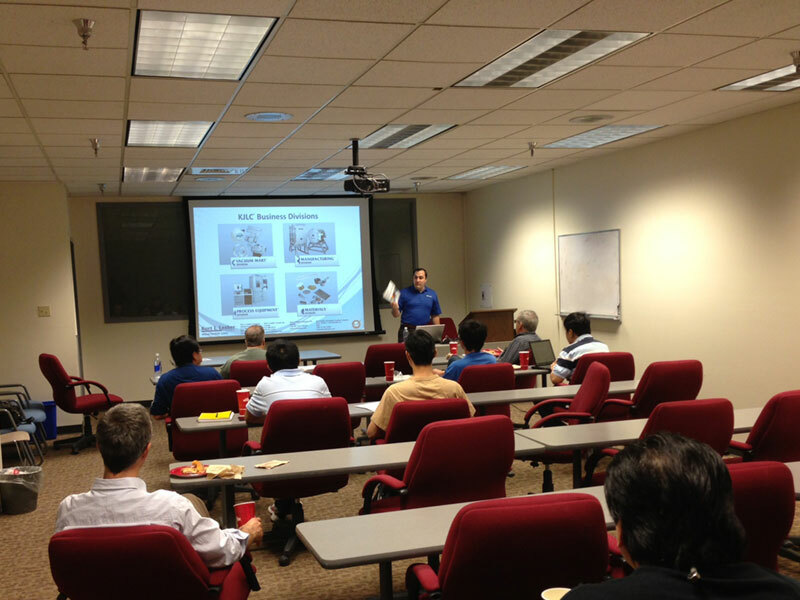 On November 14th Aaron Bryan conducted a Lunch and Learn session for the School of Electrical, Computer, and Energy Engineering at Arizona State University. The topic for this session focused on the PVD methods of thermal and e-beam evaporation. Congratulations go to Joe Becker, who recently was elected to serve on the National AVS Executive Committee from his current post of the Mid-Atlantic Chapter of the AVS. The objective of the Vacuum Technology Division Committee is to promote technical work, and dissemination of knowledge and education in the areas related to: 1) vacuum science, 2) vacuum materials and processed; 3) vacuum components, 4) vacuum system development; and ) vacuum system applications; and to promote a better technical synergism in these areas. This includes setting up topics and inviting speakers for our early symposium along with student presentations and awards. 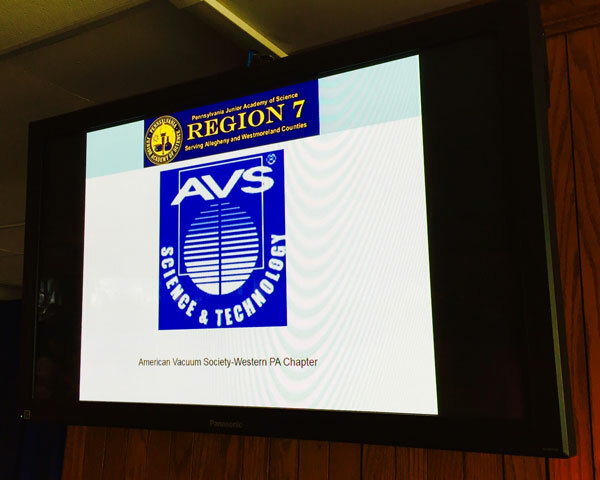 These duties are in addition to being involved with one of the AVS Regional Chapters, the Mid Atlantic Division, that has 3 regional AVS symposiums a year. Those are held every year at JLABs in the spring, NIST in the summer, and NC State in the fall. Congratulations to Joe, and we are all excited for a Kurt J Lesker Company representative to be serving in such a prominent position. Isoflux Incorporated announced a new application area for the company’s cylindrical magnetron technology today. The company presented data showing how sputtering off-axis from a cylindrical magnetron can provide exceptional uniformity and offers the advantages of ion-assisted sputtering without requiring a separate ion source. The company described the process and its advantages on their website, explaining that the application makes use of the Isoflux cylindrical magnetron combined with a patented magnetic field configuration to provide uniform coatings out the end of the cathode. 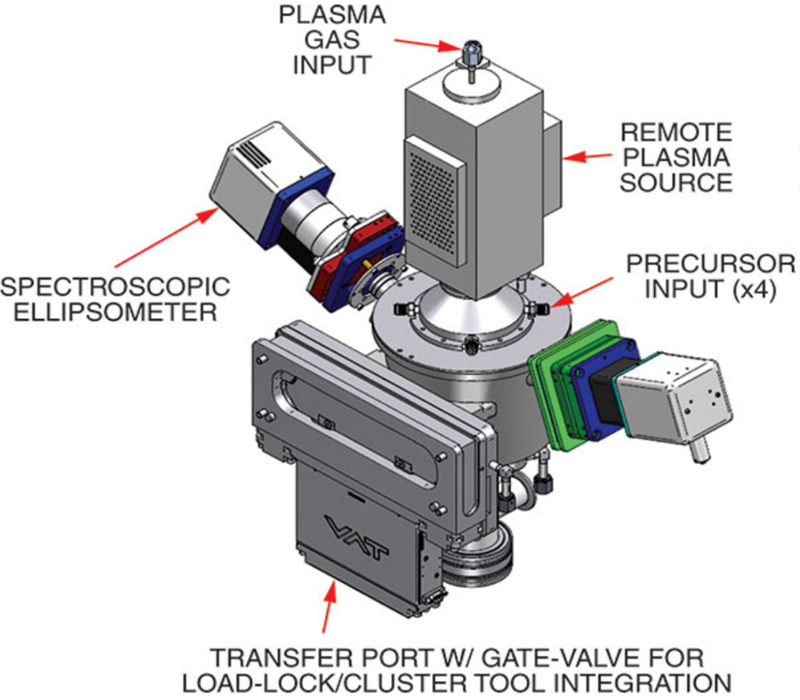 This configuration both sputters the desired target material and creates ions that provide the ion-assist without requiring a separate ion source, resulting in a simpler process and less costly equipment. The company also noted that, while the company is known for its ability to coat complex geometries including medical devices like stents and electrodes, the off-axis approach applies extremely well to coating flat surfaces like lenses. The company expects the process to find broad application in the optical coating field. The Kurt J. Lesker Company® is pleased to announce that on October 1st, 2013 they will become a stocking distributor of VAT® vacuum products across the globe. KJLC is pleased to be partnering with VAT – Leader in Vacuum Valves. VAT is a worldwide renowned company that manufactures technically superior valves and accessories. KJLC® has built a reputation as a world class distributor of quality vacuum products. KJLC offers its customers: an extensive vacuum product range, unrivalled global inventory, excellent customer service, and outstanding e-commerce solutions. This agreement represents significant opportunities for both organizations. 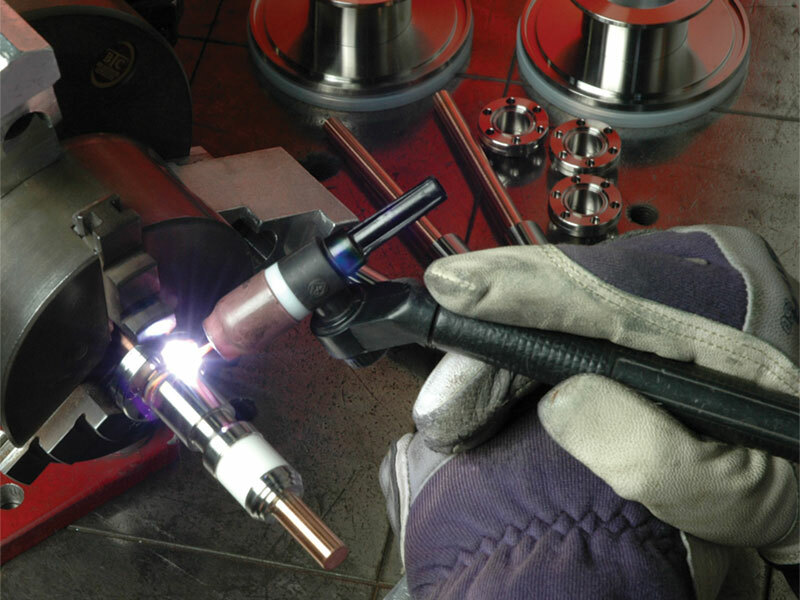 Our customers will benefit from the global presence of both companies, combined with the superior reputation and quality of VAT valves and KJLC’s proven global distribution network and complementary products which support a variety of industries and applications. To view KJLC®'s offerings, click here. Aaron Bryan of Kurt J. Lesker Company® will present a 4-hour Vacuum Technology Overview at the Rocky Mountain AVS Symposium on September 19. This presentation will provide an introduction with demonstrations to basic elements of vacuum technology including what is vacuum, and how is it produced and measured, and contained. This overview is for those who want to get an initial understanding of vacuum technology-perfect for new workers in the field, operators and users of vacuum equipment, managers, co-workers and anyone with an inquiring mind. For more details view here. *Photo courtesy of Kevin Wood, Higher Ground Photography, website: highergroundphotography.yolasite.com. The home of our European Headquarters plays host to an exciting upcoming technology event for the local Vacuum & Technology Industry Cluster. Famous for its landmark event in 1066, the birthplace of Television; Hastings, East Sussex, is also home to more than half a dozen vacuum science and manufacturing specialist companies. The TEC 66 Exhibition will take place at the Sussex Exchange; a new and innovative conference centre located very close to KJL’s newly opened European Distribution Centre, Cirket House. The event is aimed to raise awareness of UHV and technology companies locally, a parallel event will take place at Sussex Coast College to enthuse young people about careers in the Science and Engineering Industry. Kurt J. Lesker Co. is very much looking forward to exhibiting at the event and welcomes all to attend. For more details view here. The new European Distribution Centre (EDC) has now been officially open for a little over a month and KJLC® are pleased to report that everything is running smoothly. The new facility named, Cirket House boasts an ergonomic layout with increased stocking space and enhanced logistic procedures to dispatch quality products same day anywhere in Europe. The conceptual video has been created to give customers an insight into the revamp of the EDC to what it is today! If you cannot view the video above follow the link here. With processes running to plan Kurt J Lesker Co Ltd are now ideally positioned within Europe to meet with current demand for high quality vacuum products. Kurt J. Lesker Company® is pleased to announce Premier Solutions Pte Ltd as KJLC’s official representative in Singapore. Premier Solutions has developed a strong brand in Singapore by providing excellent service to the research and industrial markets. 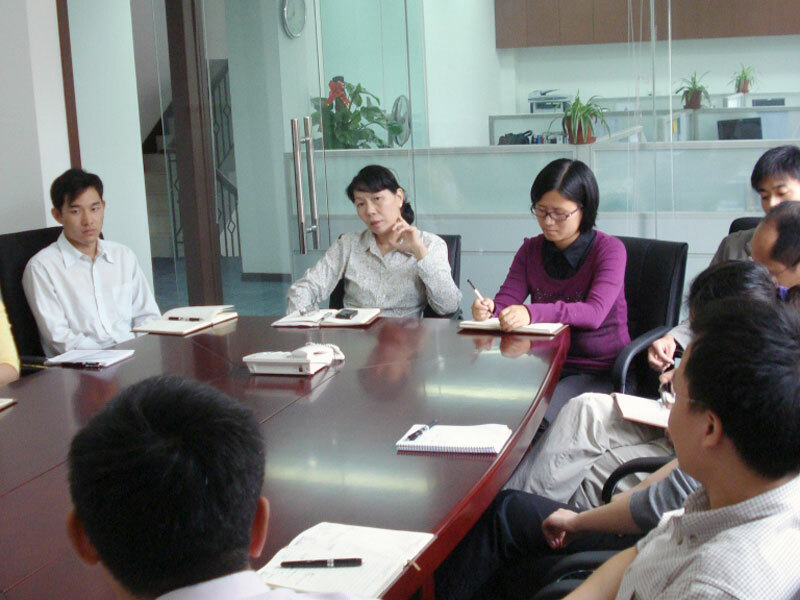 Premier’s professional approach and experienced sales team complements KJLC’s high quality product offering. Premier Solutions Pte Ltd will also be a KJLC Authorized Service Center, providing installation and service support to our vacuum system customers in Singapore. We encourage customers to contact Premier Solutions Pte Ltd for all of their Kurt J. Lesker Company product requirements. 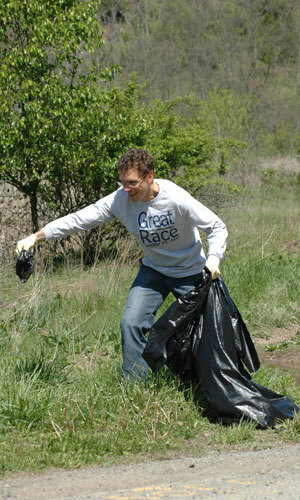 Volunteers from the Kurt J. Lesker Company® participated in an Earth Day Clean-Up event on Monday, April 22nd. The volunteers removed garbage from the Clairton section of the Montour Trail, the Park N’ Ride lot, and from the grounds of all three KJLC® buildings. We are thrilled to announce the total weight of garbage collected was 1,125 lbs. This project was a part of the company’s Corporate Sustainability Program, which encourages employees to make regular contributions throughout the year to improve our community. Hasting’s UK, the Kurt J. Lesker Company® Ltd is pleased to announce their European warehousing logistics is moving to a much larger facility named Cirket House. Cirket House is a new distribution centre, located just two miles from the current European Headquarters in Hastings. With over 16,000 square feet of stocking space, Kurt J. Lesker Co Ltd will increase their inventory to meet the current demand for high quality vacuum products. Enhanced logistic procedures will also provide KJLC® customers with even greater confidence on their ability to dispatch quality products same day anywhere in Europe. This exciting development is the next big step in the company’s evolution towards enhancing KJLC’s reputation as their customer’s primary vacuum supplier. As stated by KJLC the new EDC will provide "INCREASED INVENTORY, ENHANCED LOGISTICS" and therefore "EXCEEDING CUSTOMER EXPECTATIONS." 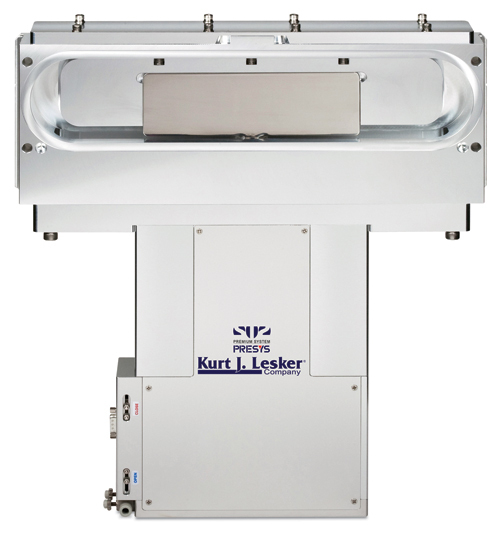 The Kurt J. Lesker Company is a global manufacturer and distributor of vacuum deposition systems, components and materials. Founded in 1954 KJLC has built a reputation for quality vacuum solutions combined with excellent service and support. They are proud to be the preferred supplier to leading research institutes and production facilities around the world. The new EDC will be a huge asset to Kurt J. Lesker Company reaffirming their presence as a global leader in "All Things Vacuum." Zoran Misetic attended a private breakfast hosted by the American Middle East Institute with open discussion about business opportunities in UAE. 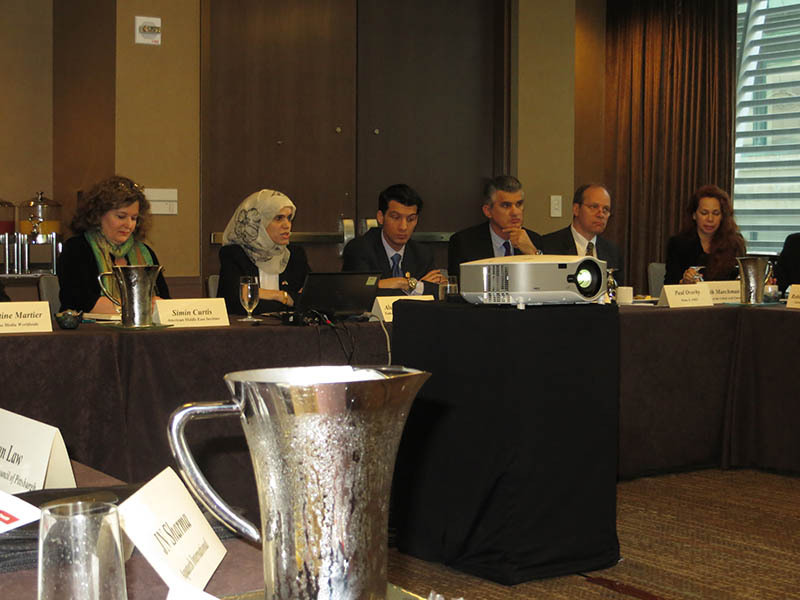 The topics especially focused on energy issues and seeking to further develop research and development capabilities in Abu Dhabi. Research activities are intended to cover: Solar cell research, Energy Storage Research, and Optics. Be sure to tune in to TechVibe Radio this Saturday at noon on FM News Talk 104.7 in Pittsburgh or listen online on www.wpgb.com or iHeart Radio. Get TechVibe Radio on Demand at www.stitcher.com. Kurt Lesker will detail its rich history as one Pittsburgh's top advanced manufacturers and making the cover of the upcoming Made in PA Magazine. Net Health Systems will dive deep giving us the skinny on creating a fun and engaging work culture. Missed the broadcast? Listen via podcast right here, or use this direct link to the show. With immediate effect, the Territory Salesperson responsible for our Scandinavian and Dutch customers shall be changing from Richard Whitehouse to Ross Dunford-Dunlop. Ross joined the company 2 years ago, and has been primarily involved with our UK + Eire customers with which he will still be fully involved. Richard Whitehouse shall continue to be on hand to support when needed, however he will now be fully focusing on his European Internal Sales role at our European Headquarters. We wish Ross every success in his new role! Zhejiang University recently submitted for publication research done on KJLC’s ALD150LX plasma enhanced atomic layer deposition platform. Centering on Zinc Oxide research for resistive memory behavior, the article investigates the bipolar resistance switching properties of Al/PEALD-ZnO/Pt devices. Results have demonstrated that the film deposited by PEALD has enhanced properties than that deposited by other methods for the application of 3D resistance RAM. The following article appeared in Appl. Phys. Lett. 102, 012113 (2013) and may be found at http://link.aip.org/link/doi/10.1063/1.4774400 – ©Copyright 2013 American Institute of Physics. This article may be downloaded for personal use only. Any other use requires prior permission of the author and the American Institute of Physics. Dietmar Hallfarth joins KJLC® from VG Scienta with over 22 years’ experience in the industry as an external sales manager for Germany. Dietmars specialist area being UHV, manipulation and deposition products. Having seen many changes in the industry such as the development from HV to UHV, establishing new applications for developing industries and progressing technologies. Dietmar thrives being face to face with customers, taking pride in the long standing relations he has created. He is now looking forward to a new challenge with Lesker’s and establishing contacts with our extensive customer database. We wish him every success with us. KJLC European Headquarters are pleased to announce 5 new members of staff who have joined the expanding team based in Hastings. Anna Ralowska and Juriy Korchev join as Internal Sales members covering Eastern Europe. Juriy joins KJLC with an extensive range of sales experience having worked as a sales manager for many leading companies in Latvia. With his knowledge of the Russian language he is keen to develop our presence within a growing market. Anna has worked in sales since graduating with a Masters 4 years ago. Originally from Poland she has lived in the UK for the last 8 years, with her excellent communication skills she will be a beneficial asset to the Eastern Europe team. We welcome Tracey Love, new Quality Manager her experience in vacuum deposition and space imagery will be a great advantage in enhancing Quality improvements for KJLC she is keen to apply her previous manufacturing business development skills within the company. To conclude Paul Kennard joins the Manufacturing Division as product specialist, with over 25 years in the Vacuum industry, his product and design skills will be invaluable in promoting manufacturing services to current and potential customers. We wish you all every success at Kurt J Lesker Company. Kurt J. Lesker’s Sean Armstrong presented a talk entitled, "New Developments in Thin Film Deposition from the Kurt J. Lesker Company" at the 59th AVS Symposium in Tampa, FL. In his speech, Sean explained two new Kurt J. Lesker deposition system platforms-the Isoflux Inverted Cylindrical Magnetron and the Filtered Pulsed Cathodic Arc. KJLC® has a worldwide license for Isoflux’s patented Inverted Cylindrical Magnetron technology which is ideal for coating 3-dimensional parts as well as fibers and wires. Furthermore, KJLC® has licensed Lawrence Berkeley National Laboratory’s patented Pulsed Filtered Cathodic Arc technology which enables droplet and pinhole free coatings as compared to traditional cathodic arc. In addition to the two new system platforms, Kurt J. Lesker Company has several projects in its R&D queue including Insitu-Tilt, Water cooled LTE, and HERO-Sputtering. Insitu-Tilt enables automated recipe controlled tilt and Z height adjustment of a TORUS® magnetron without breaking the vacuum envelope. The water cooled LTE evaporation source is designed for those depositing low temperature materials, such as small molecules for organic electronics. The water cooled LTE source enables faster cooling to a material reload temperature, saving over 2-4 hours as compared to a standard LTE source. Finally, Mr. Armstrong introduced Kurt J. Lesker’s new HERO Sputtering technology, which enables customers to quickly coat highly uniform films (< ±2% film uniformity) over a large, 8" diameter substrate, using small (1-2") TORUS cathodes. The Kurt J. Lesker Company has been highlighted by the Pittsburgh Business Times for its planned expansion in the United Kingdom. KJLC will be adding to its operations with the acquisition of a second building in the Hastings area that will be used as both a European Distribution Center as well as expanding its manufacturing capabilities in the UK. The facility is located minutes from KJLC's other location in Hastings and boasts approximately 40,000 square feet of warehouse space, offices, and manufacturing areas. More information about the opening of the new facility will be available after move in, but to read more please see the article in The Pittsburgh Business Times located here. 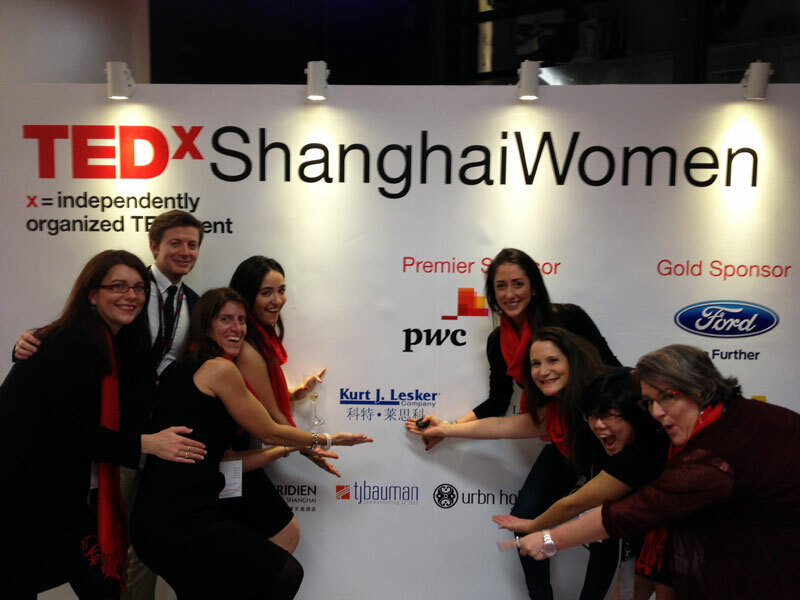 On December 1, 2012 Kurt J. Lesker Company sponsored the TEDxShanghaiWomen event in Shanghai, China. TED is a world renowned organization that promotes sharing “ideas worth spreading”. The sold out event theme was Navigating The Space Between Cultures and featured five dynamic speakers as well as a live stream to the Global TEDxWomen event in Washington DC. 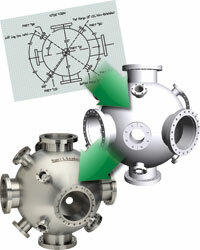 Kurt J. Lesker Company is a global provider of scientific vacuum equipment. Our mission is to Enable Technology for a Better World. In carrying out this mission we strive to advance society through technology innovations and global cultural awareness. 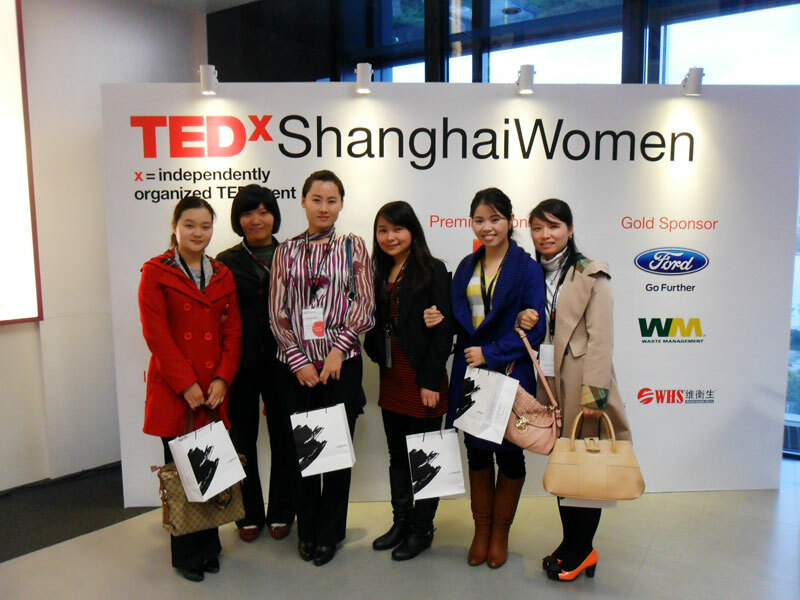 We are a strong supporter of equal opportunity for all and were proud to sponsor the TEDxShanghaiWomen event. Kurt Lesker Company enters into a worldwide, exclusive licensing agreement with Isoflux Incorporated, whereby KJLC® will manufacture and market Isoflux’s revolutionary and patented inverted cylindrical magnetron sputtering sources. Lesker will also develop a systems product line based on Isoflux technology. “We are proud to align ourselves with an innovative, technology driven company like Isoflux. Dave Glocker and his team are highly respected in the vacuum coating community and are a perfect match for us. The Isoflux product successfully addresses a critical niche in thin films and it is a great complement to the rest of our product portfolio,” says Duane Bingaman, Vice President of KJLC’s Process Equipment Division™. About Isoflux – Established in 1993 Isoflux is based in Rochester, NY, holds several patents relating to magnetron sputtering and related processes and provides process development services, contract coating services, and sputtering equipment. 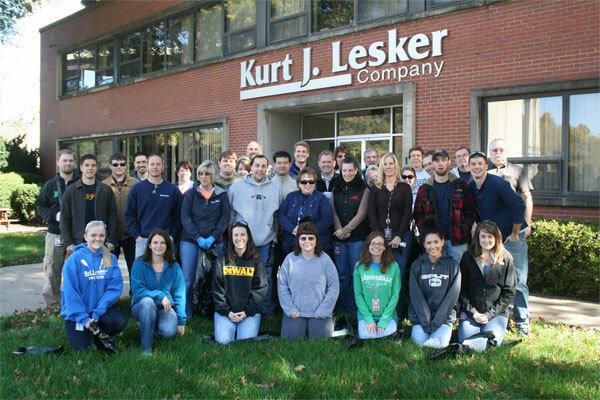 More than 35 employees of the Kurt J. Lesker Company participated in this year's Fall Cleanup on October 11th. Volunteers removed 467 lbs of trash from the grounds of the two Clairton buildings, the building in Glassport and from the entire 2.5 miles of the Clairton section of the nearby Montour Trail. We are committed to making the world a better, greener place for this and every generation to come. We will do this through our products, people and practices. The Kurt J. Lesker Company® introduces Chamber Builder™, a new advance in designing and ordering custom vacuum chambers. Combined with VacuCADSM, KJLC’s online drawing service, the Chamber Builder program allows a customer to take a standard KJLC chamber, customize it to fit their application and generate a 3D model in both PDF and STP formats. It is possible to add up to 20 ports per chamber with KF, ISO and ConFlat vacuum flanges available. If there is interference between port positions, the software will inform the user and allow reconfiguration. A 3D PDF drawing is generated online, followed by an email with an STP model file and a price quotation. Find the Lesker Chamber Builder here! 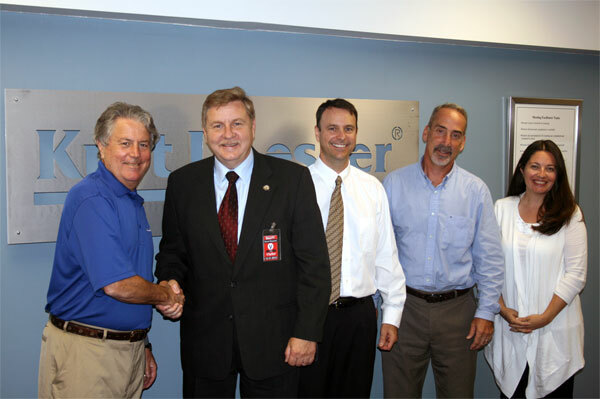 On Monday, August 20, 2012 Pennsylvania State Representative Rick Saccone visited Kurt J. Lesker Company. The goal of his visit was to learn more about Kurt J. Lesker Company and understand how our state government can support business growth and job creation. During his visit Representative Saccone met with our workforce while he toured all three of our facilities in Clairton, PA and Glassport, PA. All in all it was a productive visit and we felt that Representative Saccone came away with a new understanding and appreciation for the work that goes on at the Kurt J. Lesker Company. 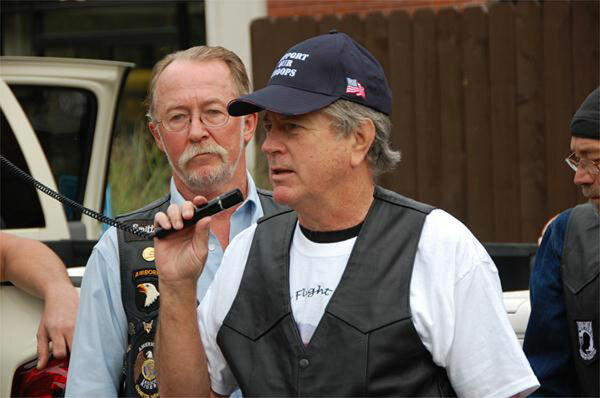 On Sunday, August 19, 2012 the Kurt J. Lesker Company teamed up with the American Legion Riders to support the Wounded Warrior Project. The Bike run incorporated around 70 motorcycles and over 150 participants. 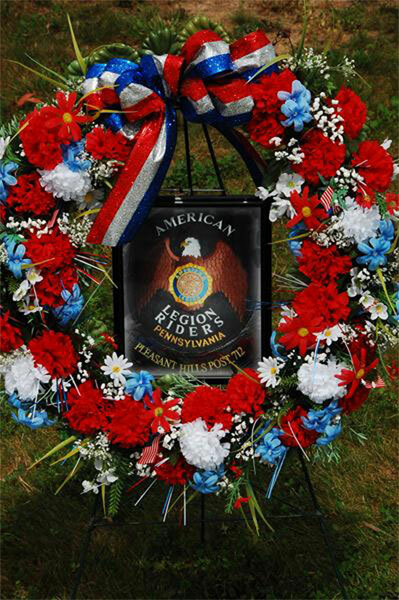 The event started at Kurt J. Lesker Company in Jefferson Hills, PA where Kurt J. Lesker III was inducted as an official American Legion Rider. At 10:00 am kickstands were up and Jefferson Hills Police escorted the bikers in the beginning of their 70 mile ride to Shanksville, PA where they paid respects to the brave flight crew and passengers on flight 93. Participants ended the day at South Park for good food and good fun! Many different local Company’s sponsored this event including one of our favorite caterers in town “Cyd West Comfort Catering”. Thank you to all of the employees who participated in this event and supported our Veterans! The KJLC Rowing Team made another good showing in the 2012 Heinz challenge on Saturday, July 28th 2012. Congratulations to the Kurt Lesker Crew team who successfully competed in a 750 meter dash scrimmage at the Heinz Challenge in 3:54:2. Our team was comprised of (from the back of the shell to the front) Nicky (our coxswain), Sandy Allen, Ruth Trok, Aaron Bryan, Ben Doerfler, Mike Kelley, Mike Sadusky, Dan Rogan and Paul Francois. A heartfelt thank you goes out to their fans and the company for their continued support as they prepare for the Head of the Ohio on October 6th 2012. This high-caliber event organized by the 1066 Chamber of Commerce and sponsored by HSBC bank, was attended by over 250 people in support and recognition of businesses local to Hastings. KJLC Ltd is proud to have been recognized for their training and business achievements however having Tim Pearce succeed in the top award of the night for his outstanding working accomplishment in Hastings for the last 30 years was an enormous triumph! "It is crucial that we are more than just a local business for the town. 75% of our business is from the European Market, by which we build specialist equipment for our US and Chinese sister companies. 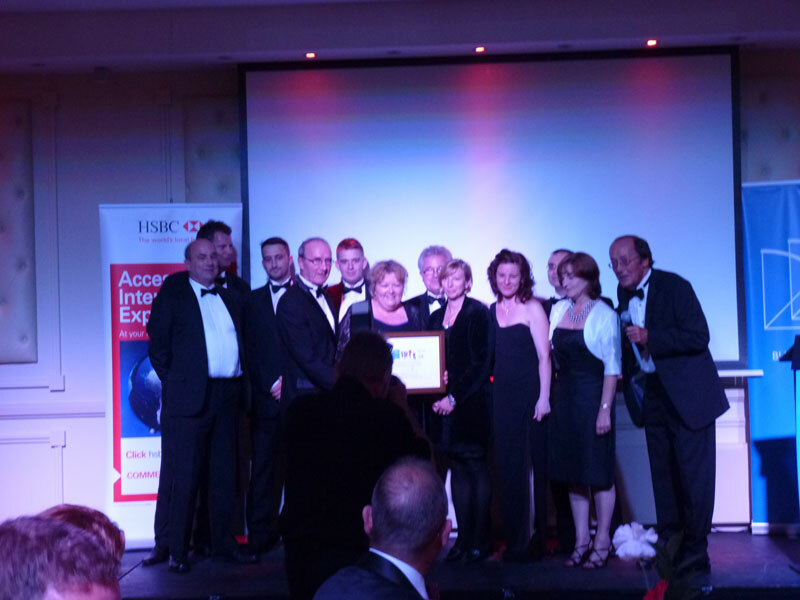 We are very proud to bring something to the town, our accolade for Investment in Training is of enormous importance to us and for Business of the Year must mean we must be doing something right!" The European headquarters began life in Hastings by Tim Pearce, distributing products from his family home which he quickly outgrew and set up premises on Ivyhouse Lane. That was back in 1991, and in 2008 the company moved again to its current location on Burgess Road. These are exciting times for Kurt J Lesker with many worldwide scientific developments, business is on the up and Kurt J Lesker Company is rapidly growing. The Kurt J. Lesker Company was featured in the Financial Times recently as a premier business in the Hastings area. The article also mentions KJLC's support in the research of the Higgs boson particle. To read the article on FT's website please visit this link. 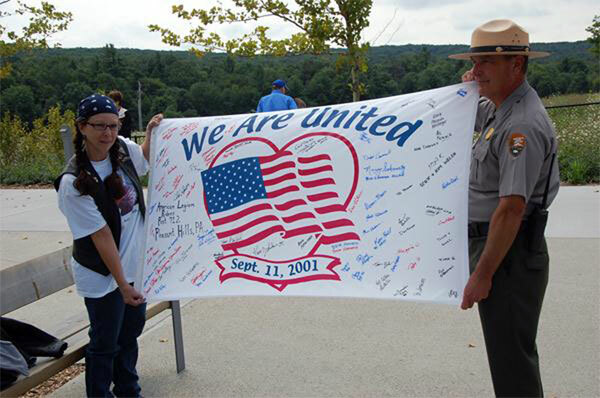 Join us at our next event, a motorcycle ride to the Flight 93 Memorial on Sunday, August 19, 2012. We will be teaming up with the American Legion Riders to support the Wounded Warriors Foundation. We look forward to seeing you there! After years of challenging study in the field of Nanotechnology at Imperial College London (UK), we are pleased to announce that Din successfully passed his PHD in development of Thin Films for organic Electronic Devices. Through the backing of Lesker’s from the outset with the EPSRC Case Award (Industrial CASE funding for PhD students) we have seen Din continue to grow and develop his knowledge in Thin Film processing which we feel is invaluable to Kurt J Lesker. His current role as R&D Engineer entails supporting our R&D customers, with his system knowledge assisting the team out in the field and developing our systems further to be one step ahead in the thin film industry. Along with his PhD Din holds a Master’s in Nanotechnology and a Bachelor’s in Electronics’, consequently a huge asset to the Kurt J Lesker team who we congratulate enormously for his achievements. Din would also like to take this opportunity to thank Kurt J Lesker for their continued support during his PhD. Kurt J. Lesker Ltd. is pleased to announce that Farah Cockerill has been given responsibility for our Iberian Customer base. 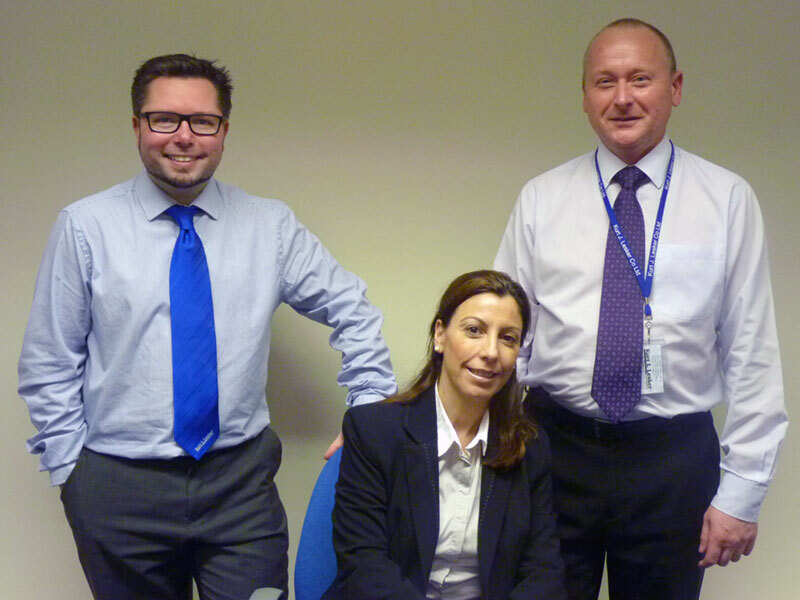 Farah will be the main contact for our Spanish and Portuguese customers based in our European HQ in Hastings. Originally from Morocco, Farah studied Advertising and PR then moved to Spain for 8 years where she achieved a degree in Tourism whilst working in hotel and leisure sales. She has lived in the UK for the past 3 years with a young family, and has joined KJLC to further develop her career; using her multi-national sales skills in our ever growing global organisation. 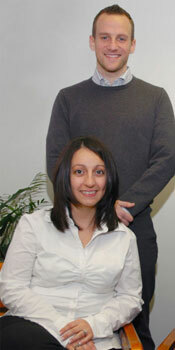 We are pleased to have Farah as part of the team and wish her every success at Kurt J. Lesker Ltd. 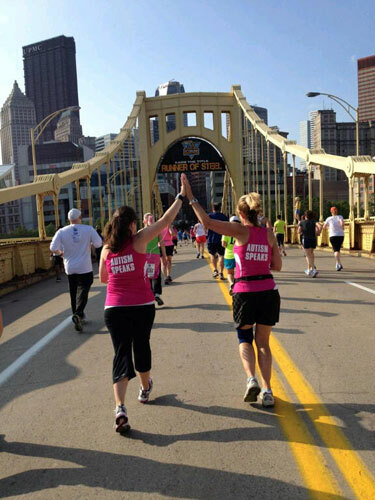 The Pittsburgh Marathon was bigger and better than ever on Sunday, May 6, 2012 as a record-breaking number of runners and onlookers filled the streets of Downtown Pittsburgh. Even though red flags were posted (because running temperatures were high), Sunday’s events still attracted a record 26,000 runners who participated in the marathon, the half-marathon and the marathon relay. 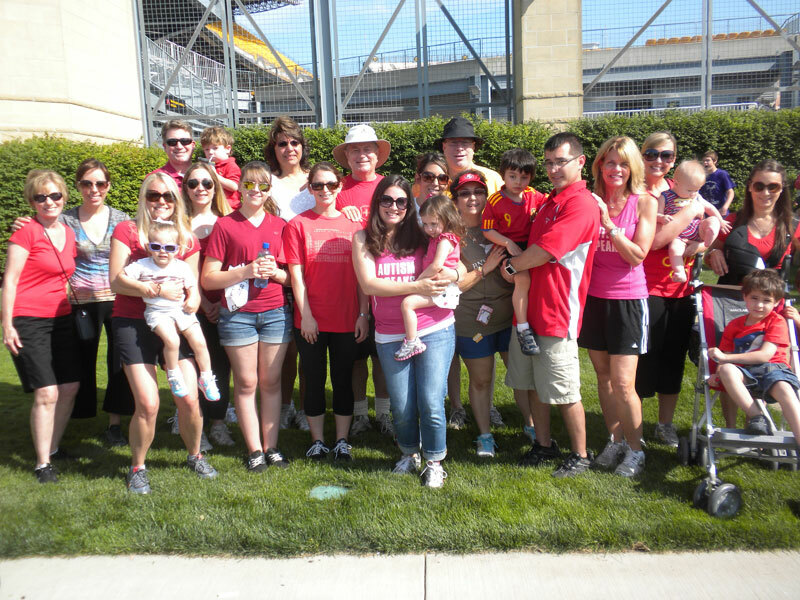 10 KJLC employees trained for months to race, promote awareness, and raise funds for Autism Speaks. Thus far, our generous employees, friends, and families have raised almost $4,000 in donations. Congratulations to our KJLC runners! 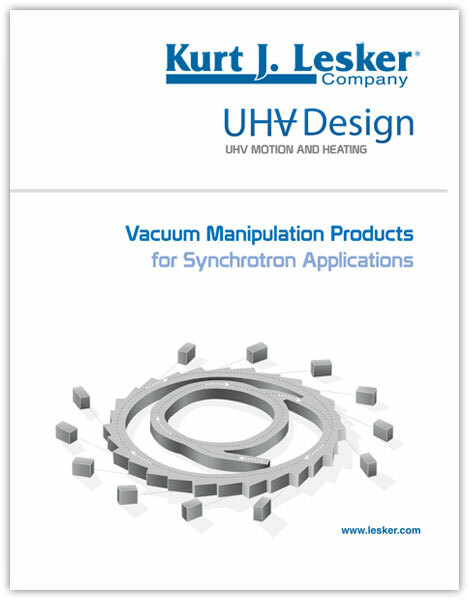 The Kurt J. Lesker Company in conjunction with UHV Design Ltd. is pleased to announce the completion of a new brochure presenting vacuum manipulation products for synchrotron applications. 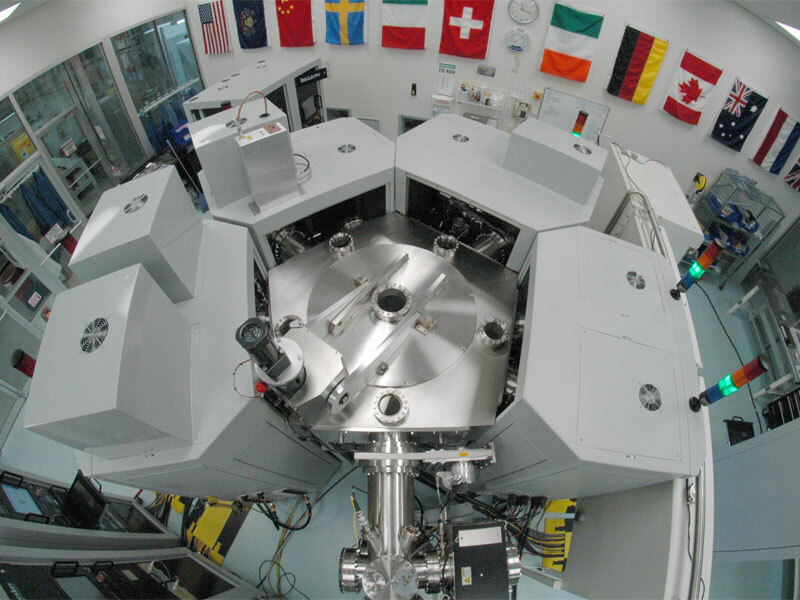 UHV Design is now firmly established in the synchrotron community as the supplier of choice for UHV manipulation devices ranging from linear actuators through complete multi-axis sample manipulators. By combining true UHV design principles with experience in demanding industry applications, UHV Design’s products ideally suit the rigorous requirements of synchrotrons for precision, long-life and vacuum performance. With control of all key disciplines in-house, from design to manufacture and test, UHV Design is able to rapidly and competitively customize its UHV manipulators, with already the largest range in the world, to meet specific needs. This brochure briefly outlines each product offered for synchrotron use, providing examples of their applications on transfer paths, storage rings, beamlines, and end stations. For detailed product specifications, or to download 3D models, please visit our website or contact our team of experts. Click here to open a pdf copy of this brochure. 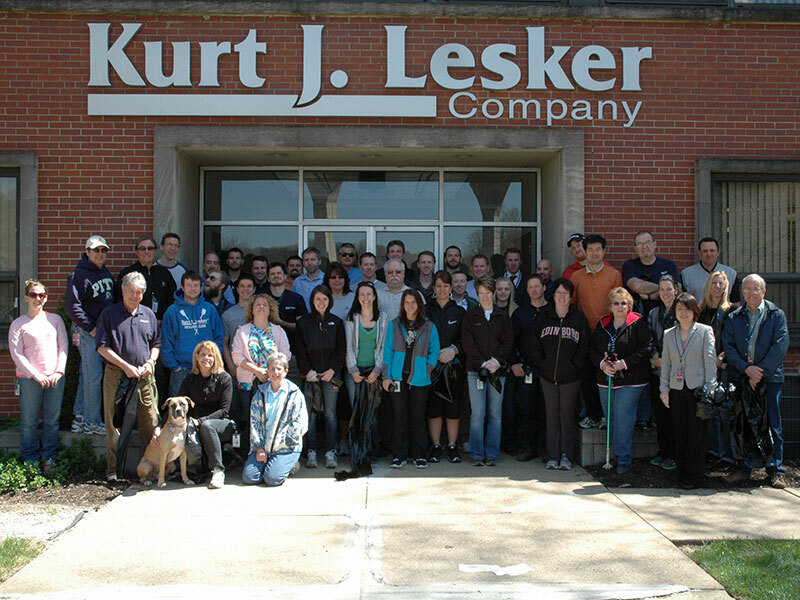 More than 26 employees of the Kurt J. Lesker Company participated in this year's Earth Day Cleanup on April 25th. Volunteers removed 415 lbs of trash from the grounds of the two Clairton buildings, the building in Glassport and from the entire 2.5 miles of the Clairton section of the nearby Montour Trail. We are committed to making the world a better, greener place for this and every generation to come. We will do this through our products, people and practices. The Kurt J. Lesker is proud to announce the completion of the move of the North American Distribution Center to our new facility in Glassport, PA. This 42,000 square foot facility enables the expansion of our inventory which means more products will be available for immediate delivery. The new space was designed for greater warehouse efficiency in the fulfillment of our customers’ orders worldwide. This move occurred from April 18-22 and involved a dedicated team of employees from many departments. Long hours were invested to make sure that our shipping and receiving operationswere back to normal capacity in the shortest amount of time. The Glassport location is also home to our Ceramic Materials Manufacturing division which manufactures advanced metal oxide ceramic materials. These special materials are used for a range of applications including storage of energy and information, energy conversion, optics and electronics. Kurt J. Lesker Company introduces Precursor Focusing Technology™ (PFT™)—an inactive gas and precursor dispersion apparatus for Atomic Layer Deposition (ALD) systems. This patent pending ALD precursor dispersion apparatus allows for focusing of precursor gas/vapor onto a substrate surface for improved process performance. Benefits of this technology include improved precursor utilization efficiency as well as shorter cycle times. Since ALD is based on a surface controlled growth mechanism, film uniformity depends primarily on distribution of active surface sites and completion of surface reactions during each precursor pulse step. Efficient precursor delivery is required to complete surface reactions quickly and without significant waste. Adequate purging between precursor pulse steps is critical since overlapping of pulses results in parasitic CVD reactions that decrease film uniformity and increase the potential for gas phase reactions and associated film defects. Moreover, rapid purging is necessary to reduce overall process times, since cycle times are largely determined by the duration of purge steps. 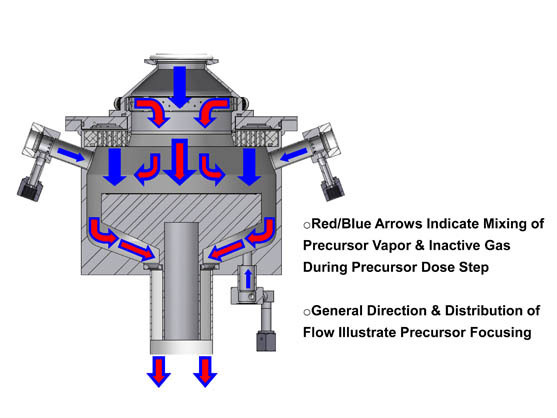 Dispersion apparatus design is based on inactive gas flow that is continuous, viscous and laminar where the specific distribution of flow results in focusing of precursor during dose steps. During subsequent purge steps, the inactive gas flow distribution enables efficient purging of the main ALD reaction chamber for robust ALD process performance. The Kurt J. Lesker Company (KJLC), founded in 1954, is a global manufacturer and distributor of vacuum components and systems for the high and ultra?high vacuum equipment market. KJLC® is pleased to announce the promotion of Richard Whitehouse to European Internal Sales Manager. He joined Kurt J Lesker Company 6 years ago onto the sales team at the European headquarters in Hastings and still successfully oversees the Scandinavian and Netherlands Territory. He progressed to Business Intelligence Coordinator; implementing strategic goals for business development and supporting the sales team. KJLC are confident that Richard will excel in his new role. His enthusiasm, efficiency and ability to develop individual growth is a major asset to the company and we thank him enormously. 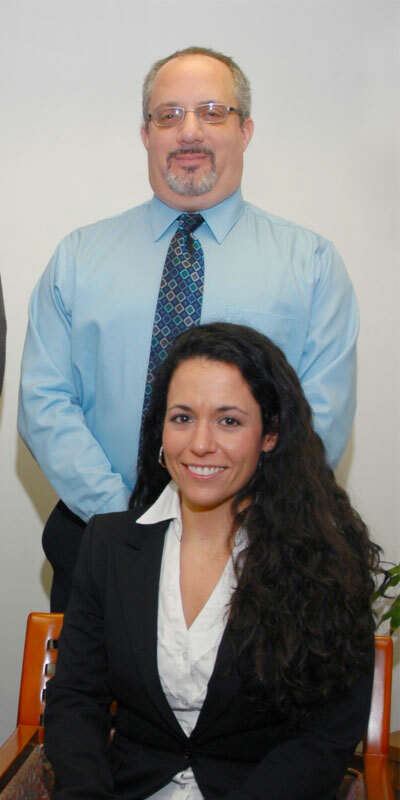 KJLC is pleased to announce two recent promotions within our Domestic Sales Team. We are pleased to announce that D.J. Milas has been promoted to be an Inside Sales Group Leader, while retaining his Account Development Coordinator responsibilities. Mr. Milas has been an integral member of the Inside Sales team for more than 23 years and has successfully managed many different high profile customer accounts. He has been a key contributor to KJLC’s continuous growth, is well respected throughout the organization, and is extremely knowledgeable in our customer base, product line, and history. In his new role, Mr. Milas will work with the Customer Service Representatives and Account Development Coordinators on a daily basis, providing situational advice and technical support, while monitoring phone activities. Danielle Menefee has also been promoted to a position as Account Development Coordinator. She will support our regional sales manager in the Mid-Atlantic and Southeast states with our OEM, industrial, university, and government lab customer base in this fast paced, key account heavy region of the U.S. Ms. Menefee joined the KJLC team in 2011 with five years of inside sales experience in the vacuum science industry and a background in chemical engineering. With her experience, technical knowledge, and enthusiasm towards new challenges, Danielle is a great addition to our ADC team. Kurt J. Lesker III, President of the Kurt J. Lesker Company, was the Keynote Speaker for Annual Joint Symposium & Exhibition held at the University of Central Florida on March 5, 2012. The event was co-sponsored by the Florida Chapter of the AVS Science and Technology Society (FLAVS) and the Florida Society for Microscopy (FSM). Mr. Lesker opened the event with a presentation entitled “The History of Vacuum (As I See It).” His educational and informative talk covered a wide range of aspects of vacuum science, with not only a historic look at the origins of vacuum dating back to the 1600s, but also an overview on how technology, research, industrial process and equipment manufacturers have made the vacuum industry what it is today. Mr. Lesker’s interactive talk, with his blend of humor, kept the audience absorbed with little known facts and events that have made the vacuum science the mainstream industry it has become. KJLC is pleased to announce two recent promotions within our Domestic Sales Team. Gideon Geer was recently promoted to the Regional Sales Manager position and Megan Hinch now holds the position of Account Development Coordinator, having successfully worked as a member of our customer service group for over two years. 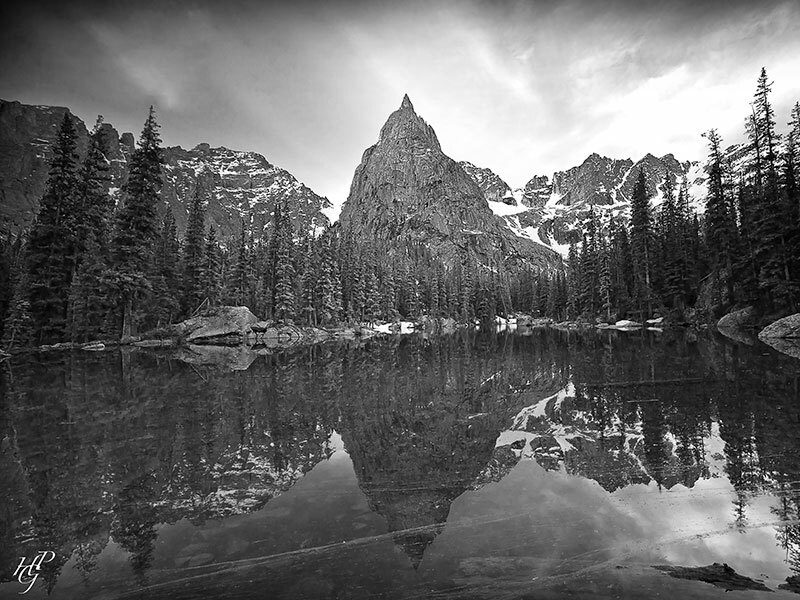 Gideon is now responsible for managing and growing our customer base in the Mountain States and Southwestern regions of the U.S. With his long track record of success in a very dynamic territory and progressive approach to sales, we are very confident that Gideon will have an immediate and positive impact. Megan Hinch is focused on our customers located in university and government laboratories throughout several different regions of the U.S. Megan’s attention to detail and customer-oriented attitude has helped KJLC to improve efficiency and continually provide the best customer service in the industry. In a recently released report, Transparent Electronics Markets-2012, NanoMarkets listed the Kurt J. Lesker Company® among the top firms to watch in the transparent electronics race. Other firms listed in this field included: 3M, Apple, Corning, Samsung and Saint-Gobain. See the full article at: http://www.marketwatch.com/story/nanomarkets-announces-release-of-white-paper-on-transparent-electronics-markets-in-support-of-upcoming-webinar-2012-01-24. A summary of the full report is available at: http://www.nanomarkets.net/Downloads/WPtransparentelec.pdf. These new materials are used in emerging industries such as: displays, solar panels and the windows industry. Lesker’s Materials Division has been able to identify 17 novel transparent conducting oxides which it believes have the potential to eventually make a commercial impact. NanoMarkets is an industry analysis firm which tracks emerging market opportunities in energy and electronics markets created by developments in advanced materials. Paul Hawes joins the company as Product Specialist for the Manufacture Division. Based in the UK, he will be joining Paul Rummery & Bevan Court to develop special fabrications and bespoke designs within Europe. He has 4 years designing and project managing for a cable management & fittings company, supplying to Telecoms , Automotive and Consumer Industries. His experience working in a global corporation previously will see him in good stead for his new position, and he is looking forward to turning his hand to a new industry. Also joining KJLC is Louise Page as European Marketing and Exhibition Specialist. Implementing and organising UK and European Trade Shows, overseeing all marketing opportunities within Europe to strengthen the Kurt J Lesker Company® Brand. She joins with many years event coordinating experience including product launches, conferences, incentives and exhibitions, predominantly for the motor Industry. She is now looking for a new challenge within Vacuum Science! 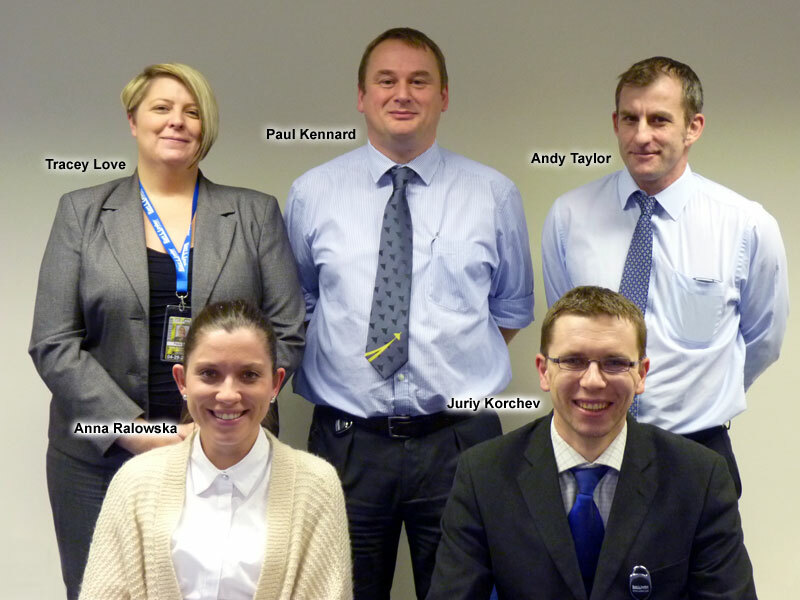 We wish both new team members every success with Kurt J Lesker Company! The 2012 Town Hall Meeting of the Kurt J. Lesker Company® was held at the U.S. headquarters in Pittsburgh, PA on January 10. Over 200 employees from the Pittsburgh office were able to attend four different forums during the afternoon: Learning Management System and Business Intelligence; Quality; Process Equipment Division; and Manufacturing and Ceramics Materials Manufacturing. Presenters in each area explained highlights of the past year and plans for the new year in their areas of expertise. Following the forums, Kurt J. Lesker III, presented a talk entitled, “Enabling Technology for a Better World.” This presentation helped KJLC® employees understand a little better some of the emerging applications for vacuum science, such as LEDs, medical sensing, photovoltaics, nanotechnology, and thin film batteries and how our company is playing a critical part in enabling these new technologies. The successes of 2011 were highlighted and goals for the near future were revealed. A time of Q&A followed the president’s speech and employees were treated to a delicious catered dinner to close out the activities. All-in-all this fifth annual Town Hall Meeting was a huge success for everyone involved. In just two days, four full pallets of used computer electronics were collected from both private and corporate donations for Dell Reconnect, a technology recycling program through Goodwill. This recycling program is dedicated to keeping electronics out of landfills and helping people in need learn skills to be valuable employees. The Kurt J Lesker Company is passionate and devoted to this cause and anticipates another drive to collect used electronics again next year. The Kurt J. Lesker Company European Operations has recently expanded their team by two new members: François Clement joins KJLC as Territory Sales Manager for the French speaking territories, whilst Darren Mannell expands the UK Territory Sales force by managing and developing accounts within the Southern government and Northern industrial sectors of the UK. François has worked as sales engineer since 2006 in the fields of thin films coatings and optics. For the last three years he was in charge of selling deposition material, sputtering sources, technical glasses and metrology systems. He joins the KJLC European Team with valuable technical and commercial knowledge and expertise within both the industrial and R&D markets. He will be responsible for managing the French speaking territories, such as France, Belgium, Luxembourg and parts of Switzerland. In his free time he enjoys cooking and nursing bonsai trees. He will be based in Paris, France. Darren joins the Kurt J. Lesker Company from the optics industry where he developed business within Corneal topography as well as offering technical support and training to opticians fitting specialist contact lenses within the field of orthokeratology. Prior to this he spent a number of years working within the design industry developing new high tech products for diagnostic applications within the well-being, video conferencing and entertainment sectors. He will work alongside Ben Bygrave, who continues to manage the Northern government and Southern industrial sectors in the UK. Darren will operate from the European Headquarters in Hastings, where he lives with his family. As an avid golfer he spends most of his spare time working on his swing and trying to lower his handicap! Kurt J. Lesker Company is helping to bring low-cost renewable-energy a step closer to reality by helping to bring to market a new material specially designed for use in plastic solar cells. 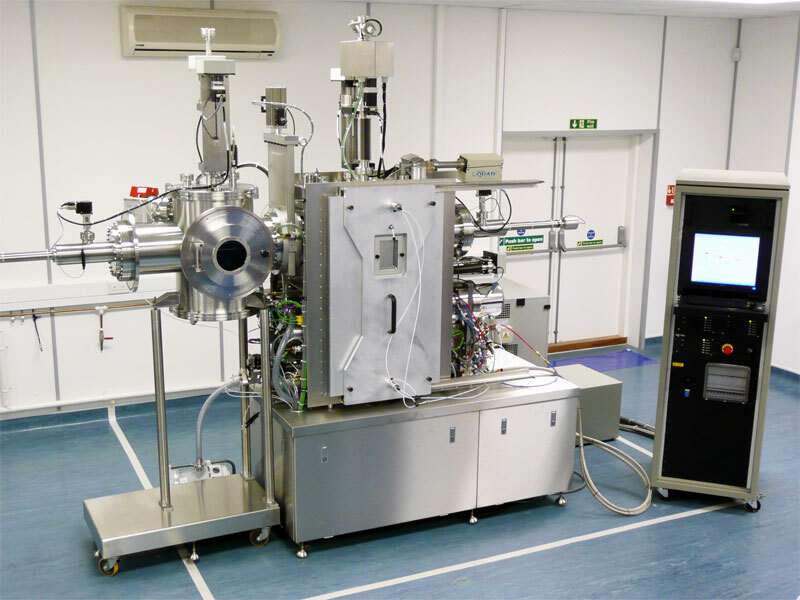 With the use of a Kurt J. Lesker SPECTROS™ evaporation system at Sheffield University the UK-based company Ossila Limited has developed a new material, PCDTBT, which will help improve the efficiency, lifetime and manufacturability of plastic solar cells. PCDTBT is a highly specialised type of plastic which is both semiconducting and an efficient absorber of light. It has significantly increased performance compared to P3HT and is stable under ambient conditions. PCDTBT also has higher manufacturability due to its ability to be dried quickly – an important consideration for fast moving production lines. 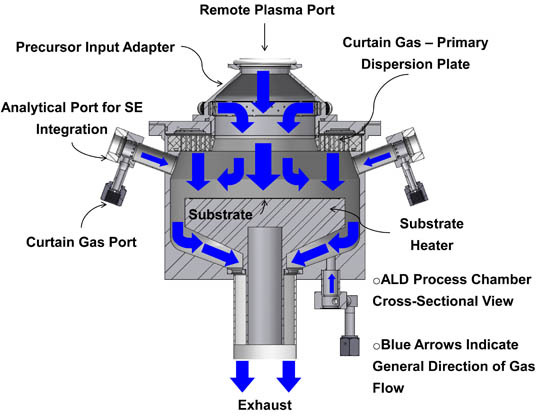 A Kurt J. Lesker SPECTROS™ deposition system was used to deposit the final calcium/aluminium cathode on a standard research architecture consisting of a PEDOT: PSS hole transport layer. The research architecture was deposited by spin coating, and with the resulting structure Ossila has achieved 5% efficiency. Further improvements in performance are expected in the near future by use of advanced metal-oxide device architectures. 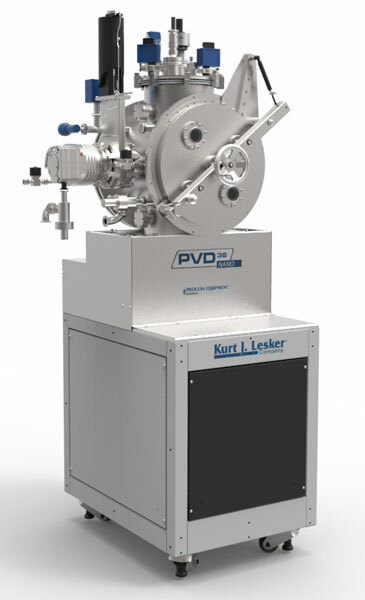 The Kurt J. Lesker Company, founded in 1954, is a global manufacturer and distributor of vacuum components and systems for the high and ultra-high vacuum equipment market and the SPECTROS is part of a range of Thin Film Deposition Systems able to support both Research and Pilot Production level preparation of both the organics and metals layers in novel PV devices. Kurt J. Lesker III, President of the Kurt J. Lesker Company, has been selected as a finalist for the Ernst & Young Entrepreneur of the Year® Award for Western Pennsylvania and West Virginia. Finalists for this award were chosen by an independent judging panel made up of previous winners of the award, leading CEOs, private capital investors, and other regional business leaders. The winners will be revealed at a gala event on June 10, 2011 at the Westin Convention Center Hotel in Pittsburgh, PA. This year, the Entrepreneur of the Year Program celebrates its 25th anniversary. The program has expanded to recognize business leaders in more than 140 cities and more than 50 countries throughout the world. Awards are given to entrepreneurs who demonstrate excellence and extraordinary success in such areas as innovation, financial performance and personal commitment to their businesses and communities. 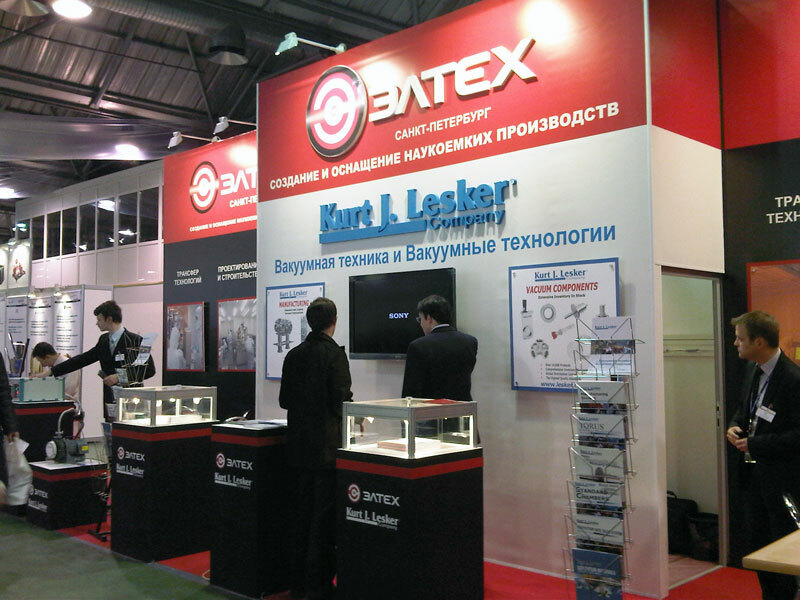 The Kurt J. Lesker Company, for the first time, took part in collaboration with Eltech Spb at the VacuumTechExpo exhibition in Moscow, April 13-15th. 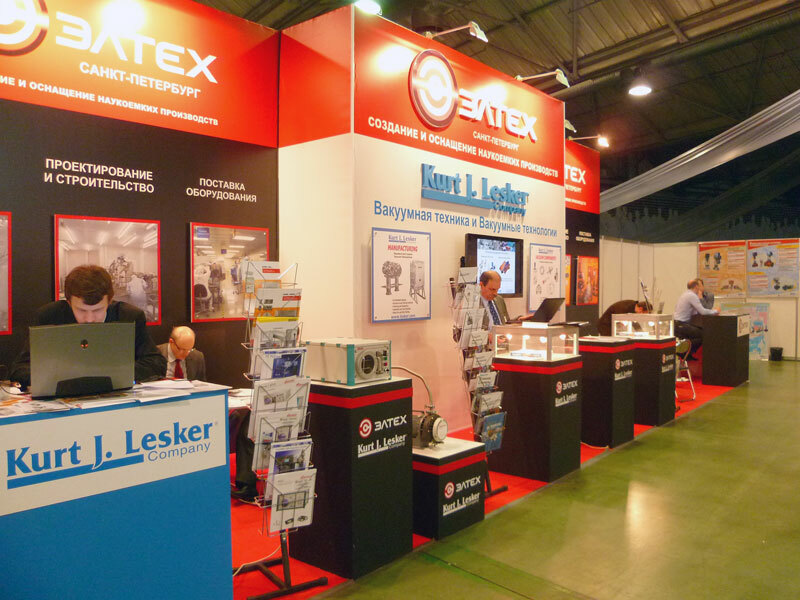 VacuumTechExpo is the leading exhibition of vacuum technology and vacuum equipment in Russia. Peter Szanto and Olivier Costa, on behalf of the Kurt J. Lesker Company, accepted the "VacuumTechExpo-2011" honorary award. KJLC's PVD75 system platform was recognised for outstanding development of vacuum equipment. KJLC was awarded for introducing the system into the Russian markets in 2010. On April 13th, representatives from the Kurt J. Lesker Company and Eltech Spb delivered a speech on "Current Trends in the Market of Vacuum Technology and Equipment in Russia and the World." The presentation by Mr. Costa was dedicated to new developments in Kurt J. Lesker's physical vapour deposition platforms and their positive impact on Russian scientific and research organisations. A high number of visitors showed interest in our equipment and technology. 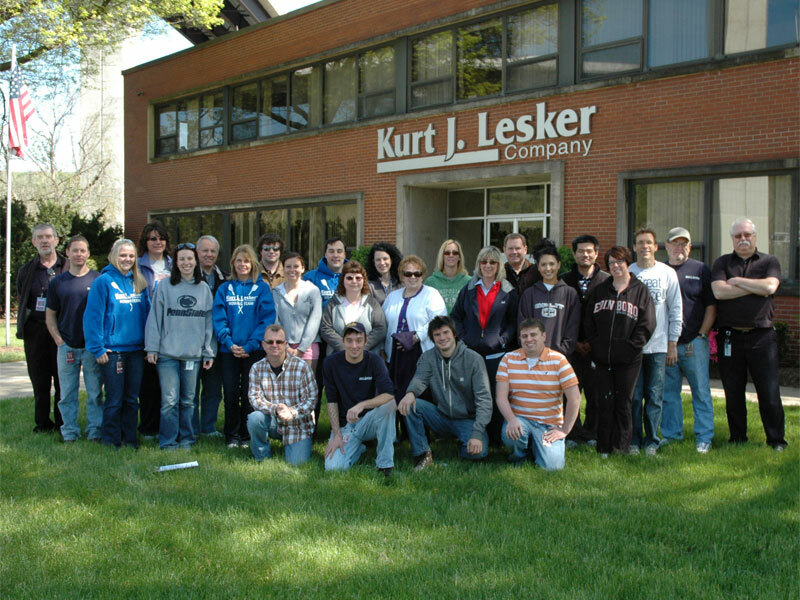 More than 20 employess of the Kurt J. Lesker Company participated in this year's Earth Day Cleanup. In one hour over 375 lbs of trash was collected from the grounds of the two Clairton buildings and the nearby Montour Trail. We are committed to making the world a better, greener place for this and every generation to come. We will do this through our products, people and practices. It is amazing the amount of refuse we were able to collect in just one hour. 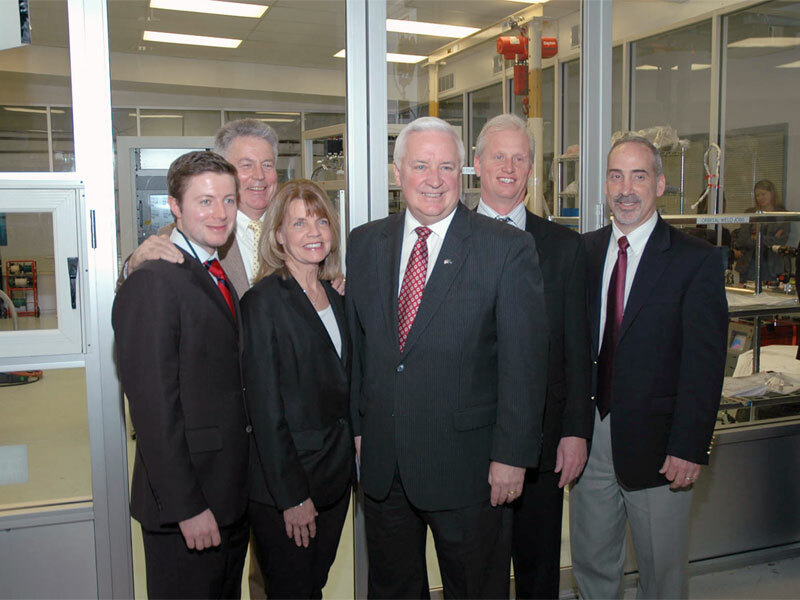 On Thursday April 7th Pennsylvania Governor Tom Corbett visited the Kurt J. Lesker Company headquarters. Governor Corbett’s team selected KJLC for the event because of the company's globalization and sucessful distribution and manufacting of high tech products. During his visit Governor Corbett held a press conference to discuss jobs and economic growth in the region. The Governor spent the morning meeting with KJLC employees and top executives discussing our most recent expansions, future plans for growth, and the competitive global landscape. 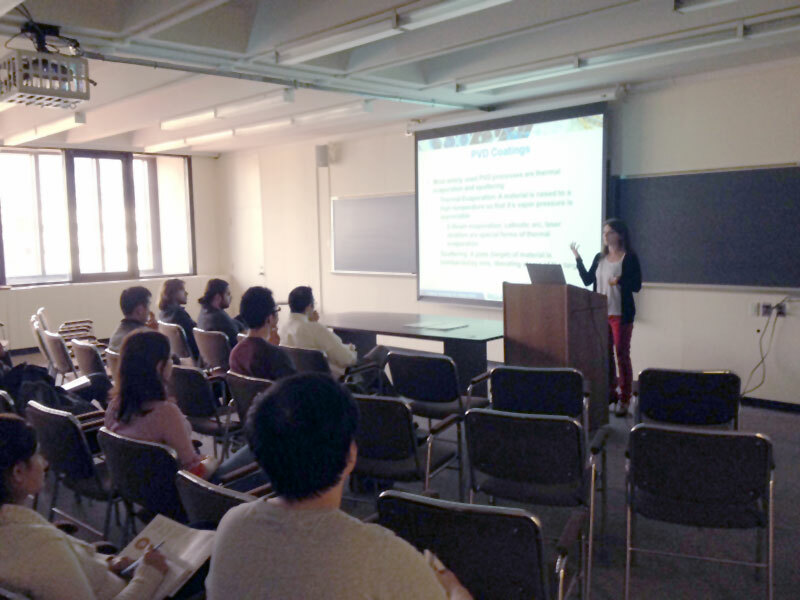 The Kurt J Lesker Company recently conducted a Vacuum Training Seminar at Portland State University as part of the Center for Electron Microscopy and Nanofabrication (CEMN) Open House. The event was sponsored by ONAMI, CEMN, PSU and KJLC. 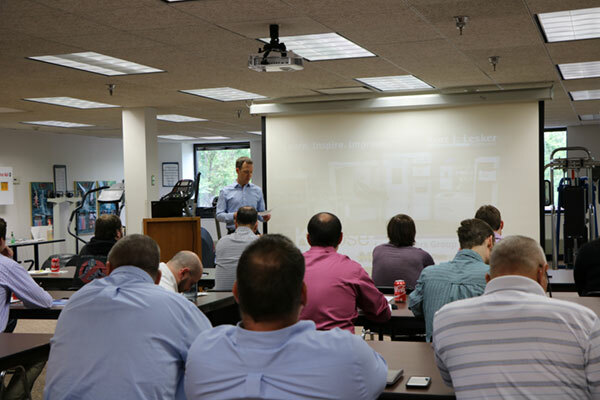 The 40 attendees were treated to two training sessions taught by Mike McKeown entitled General Vacuum Technology and the Fundamentals of PVD Processes. In addition, Mike McKeown also conducted a Vacuum Training Seminar at Stanford University with the same two courses offered. The event was held at the Center for Integrated Systems (CIS) and was hosted by the Stanford Nanofabrication Facility and Stanford NanoCenter. The forty or more attendees were treated to two training sessions as well as a catered lunch in the atrium of the CIS Building provided by KJLC. Many institutions are finding out that Lesker U courses are a great training tool for their vacuum students, scientists and engineers. Kurt J. Lesker Company recently shipped a multi-technique, production grade cluster tool to the Naval Research Laboratory in Washington, DC. Various stations of the cluster tool operate in high and ultra high vacuum and make use of advanced physical vapor deposition (PVD) processes, including magnetron sputtering, electron beam and thermal evaporation, and ion assisted deposition for film modification. These processes will create advanced material libraries utilized in novel photovoltaic applications. 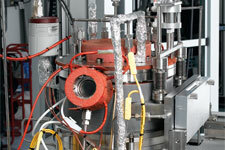 Analytical tools for in-situ thin film analysis include XPS, Auger, and other advanced surface and interface measurement techniques. This tool further establishes Kurt J. Lesker Company as a leading supplier of thin film equipment to the solar and photovoltaic cell R&D community. Kurt J. Lesker Company Ltd. This will help us process your orders in a faster, more efficient manner. Please note that the Hungarian address should no longer be used for mail, although Peter Szanto does continue to fulfil his duties as Sales Area Manager from Hungary. We do our best to smooth this transition. Please feel free to contact us should you have any questions or concerns. The Kurt J. Lesker Company is proud to announce the expansion of our Eastern European sales team. Marcin Grzywacz will be taking up on the role of Sales Manager for the following countries: Czech Republic, Estonia, Latvia, Lithuania, Poland, Slovakia and Ukraine. Marcin joins the KJLC European Team with valuable technical and commercial knowledge and expertise within both the industrial and R&D markets. He has worked in the vacuum business as a Senior Technical Advisor since 2007. For the last three years he's focused on selling vacuum pumps, gauges, valves, fittings and coating systems into the vacuum industry and R&D in Poland. He will be based in Warsaw, Poland. Peter Szanto continues to look after Azerbaijan, Albania, Armenia Bulgaria, Croatia, Cyprus, Georgia, Greece, Hungary, Macedonia, Malta, Moldova, Montenegro,Romania, Russia, Serbia, Slovenia and Turkey. Following her 20 years of dedicated service, Veronika Csordas has now retired. Agnes Kwasny will be taking over her duties for all of the Eastern European territories. We do our best to smooth this transition. Please contact us and we will be happy to help you with any enquiries or questions. The Pittsburgh Business Times announced the winners of its 2010 Manufacturer of the Year program at an awards ceremony held December 2nd at the Omni William Penn Hotel in Downtown Pittsburgh. 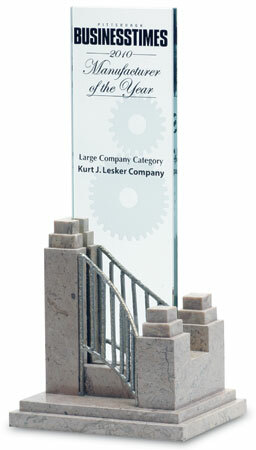 The Kurt J. Lesker Company was named as the Manufacturer of the Year in the Large Company category. This distinguished honor is the second that the company has received in the past month, following closely our selection as the Advanced Manfacturer of the Year by the Pittsburgh Technology Council. Kurt J. Lesker III, president, congratulates all the employees of our company who have worked hard to achieve these distinguished honors. The Kurt J. Lesker Company (Clairton office) will participate in the SHIM Angel Emporium (South Hills Interfaith Ministry). This program offers holiday gifts for an entire family. Through consensus the children select gifts for their parents. Parents select gifts for each child in the family. The program is designed to allow those participating to experience the joy of both giving and receiving. This program is only possible through the generous support of the community. 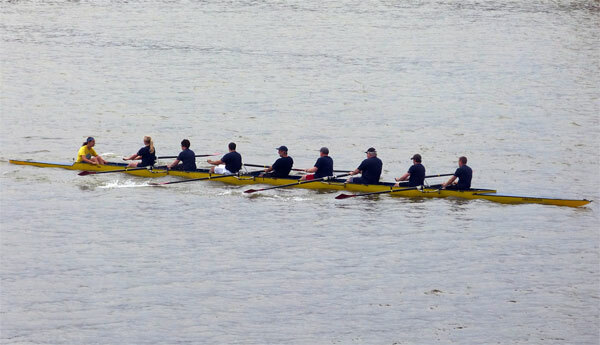 Kurt J. Lesker Company’s Rowing Team participated in the Head of the Ohio Regatta on October 9th here in Pittsburgh. 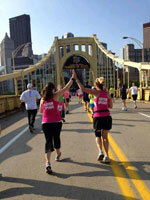 The Head of the Ohio is a 2.8 mile race that attracts over 2,000 participants every year. The KJLC team raced against 11 other corporations in the experienced corporate event. Head races are staggered and boats start in 20-30 second increments. The KJLC team was the seventh boat to start in the event and got off to a strong start. They passed Bow #6, UPMC Mercy, after 1500 meters and continued to open water. Bow #8, Highmark, started to gain ground during the middle half of the race, but KJLC took a few power ten strokes and drove them back, beating them by three seconds. Overall we ended up as the 5th fastest team on the water. However, KJLC was penalized three minutes for a rule infraction, which moved the team from 5th to 11th place. It was a great end to the Fall Season and we look forward to getting back on the water in the Spring! Kurt Lesker (Shanghai) Trading Company has been growing and developing for the past three years since we established ourselves in Shanghai in 2007. To accommodate the growing needs of our company, Kurt Lesker (Shanghai) Trading Company moved to the ZhangJiang High Technology Park on August 9th, 2010. We will continue providing our high quality products and services to all of our customers. With additional space for warehousing, conference rooms, Lab/Demo room, and office work room we will have the ability to grow with the market for years to come. 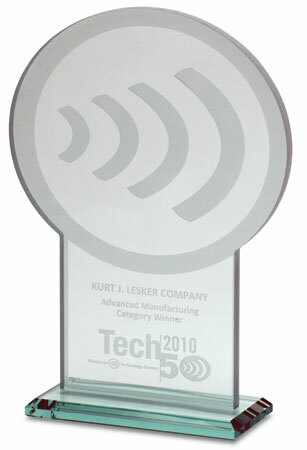 Kurt J. Lesker Company has won the 2010 award for Advanced Manufacturing from the Pittsburgh Technology Council and is a finalist for the 2010 Manufacturer of the Year from the Pittsburgh Business Times. Our quality and global efforts of continuous improvement have made us one of the most respected manufacturers in the industry. 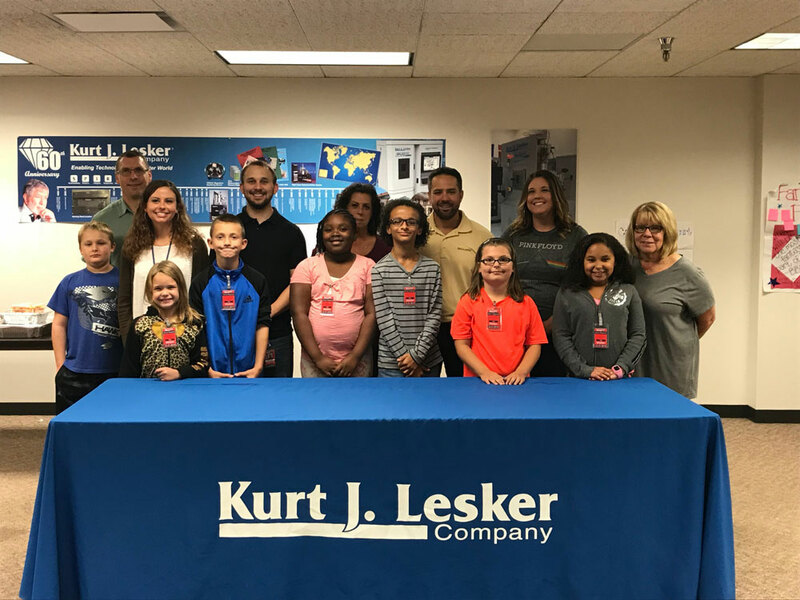 The Kurt J. Lesker Company has established a football team that is now participating in a local league involving eight teams from Hastings and the surrounding areas. 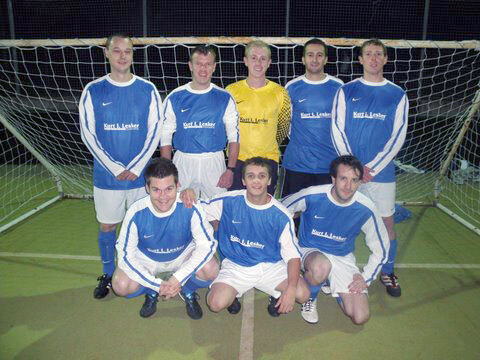 The seven-a-side team is made up from Kurt J. Lesker Ltd. employees, and they play matches every Monday at the Horntye Park Sports Complex. The Prostar League started beginning of October and will continue until February 2011. Let’s go, Leskers! Lesker University is the training division of the Kurt J. Lesker Company. One aspect of Lesker U involves on-site training of vacuum engineers, scientists and technicians at government labs and universities. This year we have presented courses on Basic Vacuum Technology and Thin Film Systems at: Stanford University, University of California Berkeley, Purdue University, Harvard University, and the Oak Ridge National Lab. These popular courses are just one more proof of how we are striving to become the number one vacuum science company in the world. 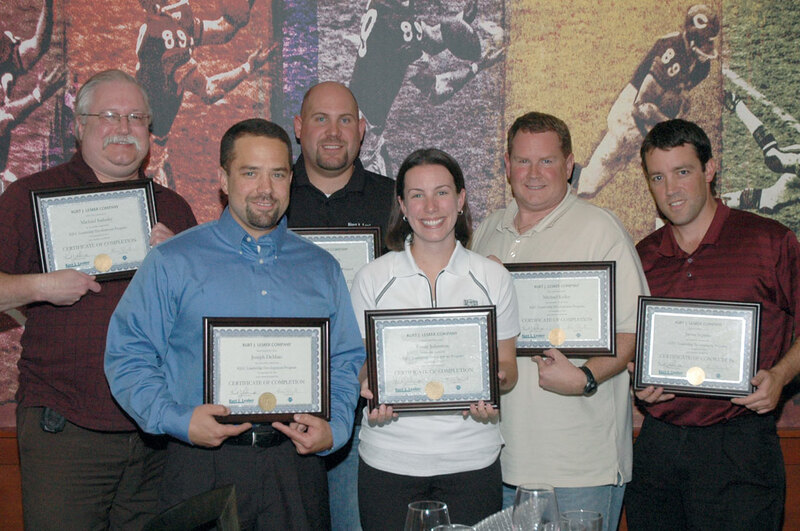 Congratulations to the 2010 Kurt J. Lesker Company Leadership Development Group which graduated on September 30th. The Leadership Development program is a key initiative designed to develop leaders who will help KJLC achieve its strategic vision. The program focuses on communication, conflict resolution, Lean, speed of trust, working with others, leading teams, meetings and projects. The team was also able to spend time with other local companies in roundtables to share best leadership practices. Those companies were Universal Electric, Allegheny County Airport Authority, Diamond Wire Spring and Industrial Scientific Corporation. We would like to specially thank those companies for their dedication to leadership and for taking the time to work with KJLC. Graduates of the 2010 program include (from left to right) Mike Sadusky, Joe DeMaio, Ben Smith, Emily Johnston, Mike Kelley and Jason Szpara. The Kurt J. Lesker Company has just acquired a 42,000 square foot warehouse in Glassport, PA to meet growing demands for warehouse space. When the move is completed in early 2011, this new facility will house our eastern United States distribution center, as well as serve as a new location for our Ceramic Materials Manufacturing operations. Our east coast warehouse operates until 7:00 pm EST weekdays for same day processing of late orders. This new facility will permit a much larger inventory base to better serve our customers worldwide. The Kurt J. Lesker Company is committed to helping the environment, not only through our products, which facilitate photovoltaic research and production, but through our company wide Green Initiatives. Our world Headquarters in Pittsburgh, PA has recently introduced a recycling program, reducing the amount of trash going to landfills by over 17 tons per year by disposing of plastic, glass, paper, aluminum, electronics, and fluorescent light bulbs using environmentally friendly methods. Recent energy efficient lighting renovations have taken place in the Manufacturing and Sales areas of the Pittsburgh location resulting in a reduction of over 85,000 kilowatt hours per year. This reduction in energy usage is the equivalent of saving 2,300 gallons of gasoline, or taking four cars off the road each year. The Pittsburgh office has also recently retrofitted the HVAC system to a more energy efficient system. The chiller was replaced with a 40% more efficient model, while all of the controls were upgraded to better regulate the temperature. The new HVAC system utilizes an energy saving mode when the office is unoccupied as well as permits the use of free cooling when the outside temperature drops in the evenings. Other Green Initiatives include the use of water-based coolant in our Manufacturing facilities. Our Fluids Reclamation Service reduces the amount of wasted fluids while providing a safe recycling option, and the Vacuum Services department reconditions used vacuum pumps. The Pittsburgh office has also recently replaced its gas guzzling box trucks with more fuel efficient vans while our European headquarters utilizes hybrid company cars. 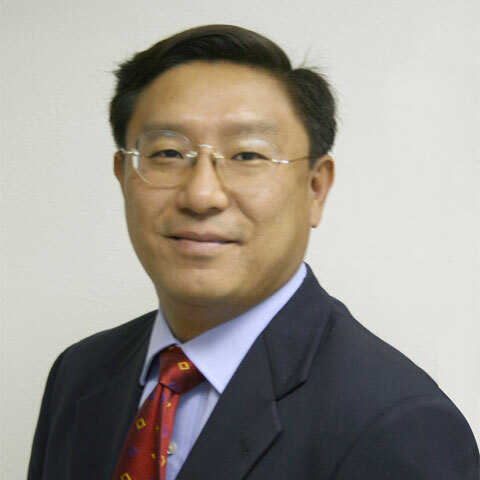 The Kurt J. Lesker Company is proud to announce the addition of Anthony Kim to our sales team as an Industrial Process Sales Specialist. In this position he will be responsible for driving sales in strategic global market segments. 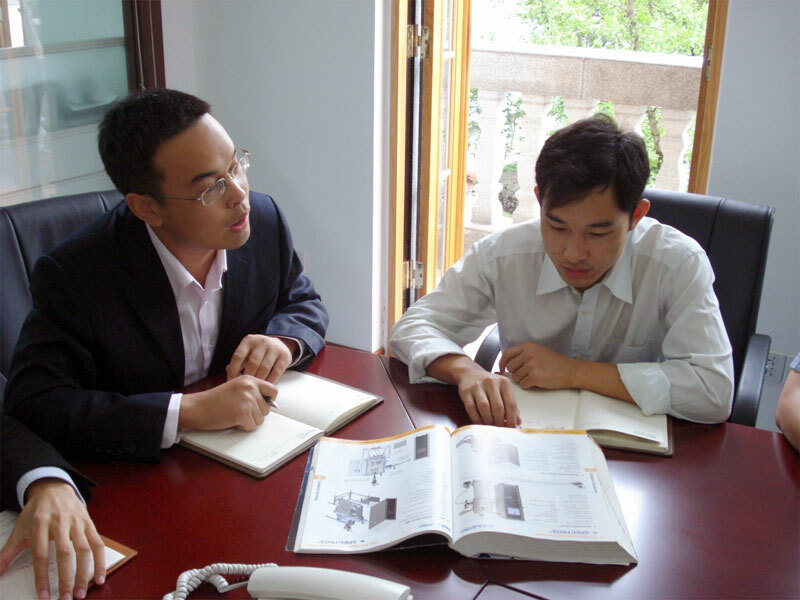 In addition he will coordinate sales activities for specific Industrial Process products. Tony's extensive background and experience in international business relations, as well as his multi-lingual skills, are valuable assets which he brings to the Lesker team. The Cagey Veterans (34+) went up against the Young Pups (< 34) for the third time in as many years on a soupy Thursday night on August 12. The Pups had won the 2008 encounter while the Vets took it last year. 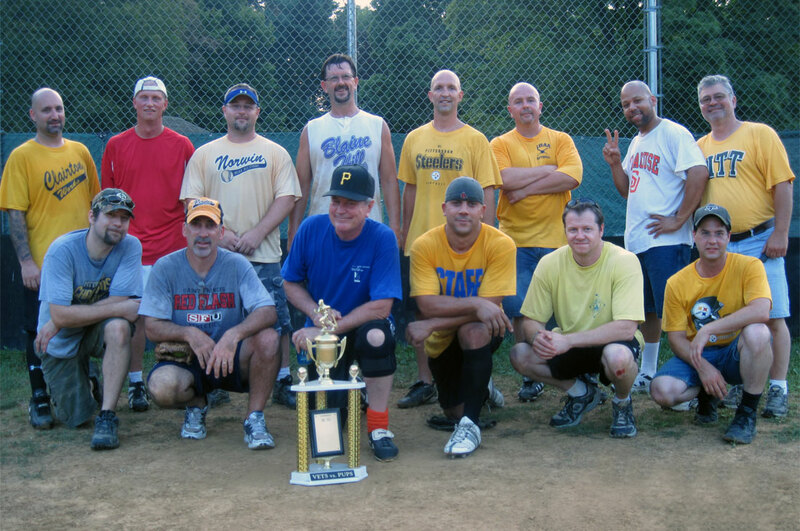 And this year the Vets, captained strategically by Lew Miller, were able to hold onto the trophy with a 20-14 victory. The Vets had a strong second inning, scoring 10 runs, including an inside the park grand slam by Duane Bingaman (which technically was a double and 2 fielding errors but the result was base clearing in any event) and two more RBIs from Kurt Lesker III. Brian Smith's bat was hot throughout the game with a home run, triple, and 2 doubles, and Jason Rossi had 2 homers. However, the Pups battled back, most noticeably in a 7-run 4th inning of constant base hits by the entire line-up. After that the Vets turned on the defense and the fielding was excellent, especially up the middle with stellar plays by Josh Anderson, David Taylor, and Eric Popp, as well as Brian Mitchell on third base. John Lubic was Mr. Consistency on the mound as usual. Solid pitching for the Pups by Captain Rich West and Ray Pokorny unfortunately did not result in a win, but they played hard and a good time was had by all. The Annual Heinz Challenge is a 750 meter rowing sprint race on the Allegheny River in Pittsburgh. 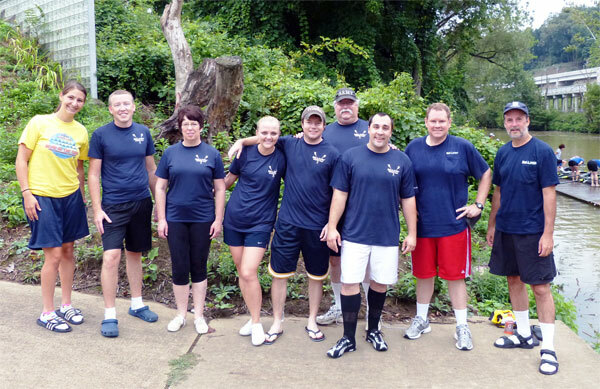 On July 24th Lesker rowers competed in three different corporate races. The women's boat started us off at 8 a.m.. Cindy Lesker, Desirae Burns, Ruth Trok and Susie Campolong from KJLC, along with four women rowers from Radiology Crew set out to attack the river. Our ladies rowed well and showed real strength as they gained water to accomplish a close finish in the top three. Next our men's crew competed. with Kurt Lesker III, Aaron Bryan, Dan Rogan, Mike Sadusky, and Mike Kelley, plus three rowers from Radiology Crew manning the oars. We had just two boats in our heat with our competitor being Medrad. It was neck and neck until the seat came off of our stroke seat and with a broken boat we made a respectable finish. The final race was the mixed experienced heat with Kurt Lesker III, Aaron Bryan, Cindy Lesker, Desirae Burns, Mike Kelley, Mike Sadusky, Susie Campolong and Ruth Trok. We were in a heat of four boats and it was quite a race. As we came down the stretch we stroked past the lane 4 boat to land third place. All in all, we were pleased with our results and now we start training for the fall and the much longer 4.3 kilometer Head of the Ohio race on October 9. The Kurt J. Lesker Company is pleased to welcome the arrival of Gilles Vera to its European team, where he will be taking up the role of Sales Manager for the French speaking territories. Gilles has worked in the semiconductor industry since 1992, holding various roles from Field Service Engineer to Product Supervisor and recently as European Sales Manager for capital equipments in the metrology area until 2008. Since, Gilles had been graduated from the University of Grenoble with a Master in Management and Business Administration. He will be based in Grenoble, France. Visit our booth and play Details Matter for a chance to win REI camping gear. On April 13th Dr. Rubin Sidhu of BP Solar spoke at The Kurt J. Lesker Company's headquarters in Clairton PA. Dr. Sidhu's visit was sponsored by the Pittsburgh Technology Council's Advanced Manufacturing Council Network. Dr. Sidhu covered many topics of interest in the photovoltaic industry including new technologies and forecasts for the future. If you would like to view Dr. Sidhu's fascinating presentation please download the slides from his presentation here. The Kurt J. Lesker Company, an international manufacturer and distributor of high (HV) and ultra high vacuum (UHV) components and systems, who also offer vacuum technology solutions for research applications, exhibited for the fifth year at the Culham recently. Dr Gilles Rousseau, UK & Irish Sales Manager, commented: “I was delighted to have the opportunity to exhibit at Culham Site again, and as usual the support from the staff on site was excellent. The foyer location provided a relaxed setting to present and discuss our range of products and to explore current & future opportunities with the engineers on-site. Pittcon 2010, March 1-4, Orlando, FL, Booth 1202. Visit our booth (1202) at the 2010 Pittcon Exhibition in Orlando, FL and ask for your complimentary gift. We'll be showcasing our latest vacuum pumps, pump fluids, and pump service capabilities. We hope to see you there! The Kurt J Lesker Company is pleased to welcome the arrival of Sven Nieft to its European team, where he will be taking up the role of Sales Manager for the German speaking territories. Sven has worked in the semiconductor and vacuum industries since 1996, holding various roles from technical support to engineering and field marketing as well as several sales positions. For the last three years he’s focused on selling vacuum-components, vacuum-valves and chambers into the vacuum industry and R&D in Germany, Austria and Switzerland. He will be based in Munich, Germany. One week, two chances to meet KJLC Europe! Paul Rummery will be present at the ESRF Users Meeting in Grenoble, France, while Gilles Rousseau will exhibit at the 1st Vacuum Symposium UK and 9th RGA Users Meeting at Daresbury Labs in Warrington, UK. They will be available to provide you with up-to-date product information as well as offer technical assistance on all vacuum related inquiries. They will also be introducing our new pump remanufacturing services and the SPECTROS® family of systems. So make sure to pay us a visit -or two! Visit the Kurt J. Lesker Company booth at the Photonics West exposition to be held January 26-28 at the Moscone Convention Center in San Francisco. At our booth we will be displaying vacuum products and materials for the optical and photonics industry. We'll also be featuring our Lesker ferro magnetic fluid rotary drives. Stop by our booth (4643) to see what is new at the Kurt J. Lesker Company. Paul Rummery is going to represent the Kurt J. Lesker Company at this annual meeting at the synchrotron facility between 27-29 January. He will be happy to discuss with you our custom chamber manufacturing capabilities and new pump remanufacturing services. He will also be introducing our new SPECTROS® family of systems. He can provide you with up-to-date product information as well as technical assistance on all vacuum related inquiries. So make sure to pay him a visit! Clairton, PA – January 15, 2010 - The Kurt J. Lesker Co. (KJLC), in partnership with Integran Technologies USA, was awarded funding by the Pennsylvania NanoMaterials Commercialization Center (PANCC) for the commercial development of nCu (high purity Copper) sputtering targets used in the fabrication of the latest generation semiconductor devices. “This award for nCu commercialization is an important step in providing the next generation deposition materials to keep pace with the ever shrinking architecture of semiconductor devices. We are pleased the PANCC recognized the importance of this development in choosing our project for funding” Kurt J. Lesker, President KJLC. The high purity, fine-grained copper targets, known as “nCu”, represents a significant advancement in the quality of copper targets available in the market. This next generation product will be manufactured using Nanovate™ technology, a novel process technique, developed by project partner, Integran Technologies USA. “Integran ’s advanced material technology, combined with the global presence and manufacturing experience of the Kurt J. Lesker Co. creates a unique opportunity for not only our semiconductor customers but for all of our materials customers to benefit worldwide” Kurt J. Lesker, President KJLC. The mission of the Pennsylvania NanoMaterials Commercialization Center is to promote and support the commercialization of nanomaterials research for new and enhanced products critical to the U.S. economy and manufacturing base. The Center builds upon Pennsylvania’s excellence in advanced materials research, development and manufacturing, and acts as a new model for a public-private partnership among government, universities, entrepreneurs, small and large companies to accelerate the transition from nanomaterials invention and innovation to the launch of new products and processes. The Kurt J. Lesker Co. has received $266,720 of Air Force Research Laboratory (AFRL) funding, with KJLC and Integran providing a total of $102,920 in matching funds. Kurt J. Lesker Company would like to thank Melissa Grol and Renee Moss for spearheading the Toys for Tots program in our Pittsburgh facility this December. With their help and the donations of several other employees we were able to provide over fifty toys to needy families in the Pittsburgh area. Kurt J Lesker Company is pleased to welcome the arrival of Stefan Dunin to its European team, where he will be taking up the role of European System Sales Manager. Stefan joins the Kurt J. Lesker Company from a background in the microelectronics and semiconductor arenas, where he gained extensive knowledge of CVD, PVD & Lithography processes. For the last five years Stefan has been working primarily within the Research & Development and Academia sectors. Stefan will be initially trained in the UK & USA, and then he will be based in our office in Tours, France. Congratulations to the Kurt J. Lesker Crew Team. On July 25th our esteemed rowing team participated in the annual Heinz Challenge, a local Corporate Crew Race held on the Allegheny River right in the heart of Pittsburgh. The two boats that participated each finished second in their respective races, a Men’s 8+ and a Mixed 8+ which is a great accomplishment for a team new to the sport. The Kurt J. Lesker Crew Team is currently training for the next major Pittsburgh race, a 5,000 meter head race at the Head of the Ohio Regatta on Saturday, October 3rd, 2009. This day long festival is one of the largest one-day regattas in the country and is one of Pittsburgh’s premier outdoor events celebrating the beauty, majesty, and energy of Pittsburgh’s rivers. For more information on the Head of the Ohio Regatta, please visit www.headoftheohio.org. 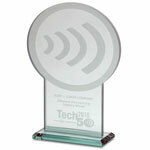 The Kurt J. Lesker Company is one of this year’s Tech 50 Awards finalists in the advanced Manufacturing category. KJLC was selected as one of only 50 finalists in southwestern Pennsylvania’s technology industry by the Pittsburgh Technology Council. We are delighted to announce a new partnership between Solvay Solexis (‘Solexis’) and Kurt J. Lesker Company (‘KJLC®’), a long-established, dynamic vacuum equipment sales and manufacturing company. How do I continue buying the Solexis products I use? KJLC has comprehensive stocking levels of these products allowing in most cases same day shipping. Can KJLC answer my technical questions? Yes! KJLC has represented Solexis Vacuum and Heat Transfer products for over 25 years and has received extensive technical training from Solexis experts. In addition, KJLC’s 55 years experience selling vacuum pump fluids means most specific application issues with vacuum fluids have already been met and resolved. If you purchase Fomblin vacuum, Galden or H-Galden Heat Transfer inert fluids in any quantity, just contact KJLC when you need more Solexis products. If you make frequent or large quantity purchases, phone KJLC and ask your area sales manager to visit. After discussions, he/she will arrange stock levels to ensure you never have to wait for shipment of your Solexis products. The Kurt J. Lesker Company is proud to announch that it has been certified to be ISO 9001 compliant as audited by PRI Registrar. KJLC’s formal Quality Management System is ISO 9001. Being an ISO registered company is good, but we know without substance it is just a piece of paper. That is why we have established a global team of quality managers and technicians throughout our multiple facilities to ensure your order is done right, the first time. These are not just quality objectives, they are business objectives. Our management team has established quantifiable goals and metrics for each objective. Wondering what our on-time delivery is or our customer satisfaction rating, just ask us. At KJLC continuous improvement is a way of life. We know we are not perfect, but we have spent over 55 years trying to be. Lean, 5S, preventative actions, cellular manufacturing, kanban material replenishment and visual work instructions are some of the ways our employees and industrial engineering team work together to make products better and faster. The substance of our Quality System is built into our products and services. The entire Kurt J. Lesker Company team adheres to the spirit and intent of this firm’s Quality Policy, as well as The Quality Manual and all supporting quality system documentation. We will continue to ensure that customer satisfaction is achieved at all times and in all things. Visit the Kurt J. Lesker booth at Pittcon 2009 to see our newest vacuum pumps. Offering a full-range of Kurt J. Lesker Company brand rotary vane, dry scroll, turbomolecular, and ion pumps, including worldwide inventory and service. Other vacuum pump manufacturers’ models stocked include: Adixen (Alcatel), Edwards Vacuum, Oerlikon Leybold, Pfeiffer, Shimadzu, Tuthill Kinney, ULVAC, Varian, and Welch. We are a manufacturer of standard and custom vacuum chambers, components, flanges, pressure gauges, and valves. 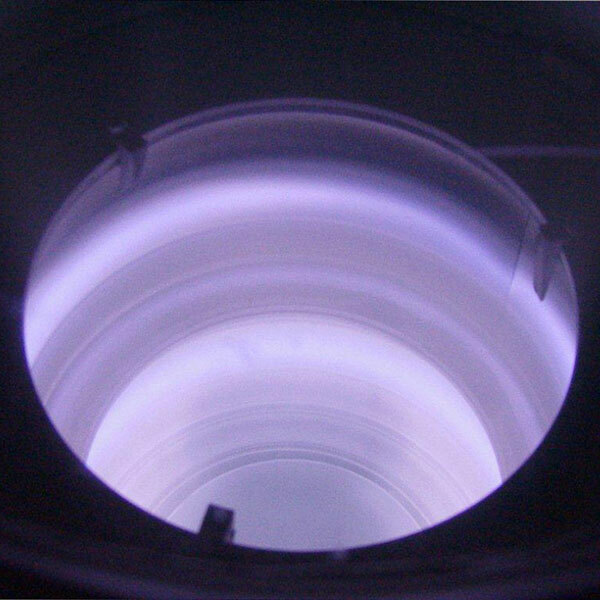 Our feedthroughs include electrical, liquid, gas, cryogenic, and motion. Contact us if you need a guest visitor badge for the exhibition. Celebrating 55 years of excellence! KJLC Hosts Pittsburgh Groups for "Explore the Floor"
The Kurt J Lesker Company hosted fifty members from the Pittsburgh Technology Conference, Catalyst Connection and local Pittsburgh businesses on January 14th. Highlights of the visit included a tour of our state of the art machine shop, our quality initiatives, and an overview of our best in class new hire training and orientation programs. 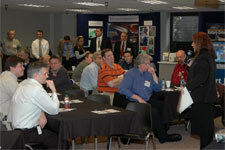 On January 13th 2009, the Kurt J. Lesker Company held its annual Town Hall event at its Pittsburgh Headquarters. The event gives all employees a chance to experience some of our cutting edge products and technologies, see hands on demonstrations of different manufacturing and quality initiatives from various departments and divisions of the company, and learn about emerging markets that benefit from KJLC products. This was followed by a “state of the union” address from KJLC president Kurt Lesker III where he fielded suggestions, questions, and concerns from employees. Kurt J. Lesker Co. installed and implemented videoconferencing capabilities between offices in the USA, Europe, and Asia. Jason Szpara has accepted the position of Vacuum Fluids Product Manager. Mr. Szpara managed some of our largest key accounts over the past six years while working as regional sales manager in the northeastern United States. His excellent understanding of the vacuum market gained him the respect of his customers and his experience and knowledge of our products made him an ideal candidate for this position. First Anniversary of Kurt Lesker (Shang-hai) Trading Co.
Kurt Lesker (Shanghai) Trading Company celebrates its first year of operation in China. Asian Operations Manager, Angela Wei, heads the office of eight employees. The office provides sales and sales support throughout the Pacific Rim. Plans for an expansion in 2009 include a warehouse and service facilities. Kurt J. Lesker Co., Ltd has reorganized its Board of Directors as part of a global strategy to provide synergies between group companies of the Kurt J Lesker Company, USA. Timothy Pearce, and Kurt J Lesker III remain on the Lesker Ltd. Board. Additions to the board include: Adam Bartlett, Vice President of European Operations; Duane Bingaman, Vice President of the Process Equipment Division; and John Lubic, Vice President of Vacuum Mart Operations. 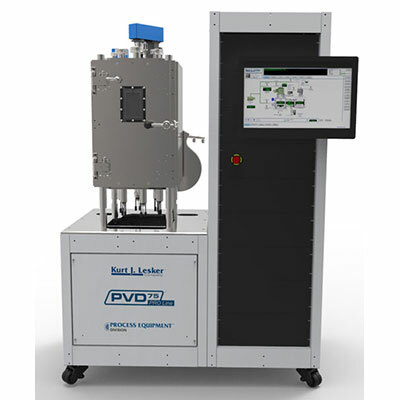 The Successful PVD-75 physical vapor deposition tool surpassed 100 units in the field. The popular research tool was introduced in late 2006 and has become a standard in research laboratories throughout the world. Kurt J. Lesker Co., Ltd. announced plans to expand its Hastings, England headquarters. The new facilities will double the current size of the operation, expanding its warehouse and manufacturing capacity, as well as providing additional administration space. Completion of the expansion is expected by year's end, with no disruption in operations or services. The Hastings location serves as the company's European operations headquarters. Kurt J. Lesker Company share holders elected Timothy Pearce to its Board of Directors. 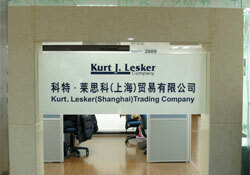 Mr. Pearce has held the position of Managing Director of Kurt J. Lesker Co., Ltd., Hastings, England, since 1990. Kurt J. Lesker Co. opened its new Atomic Layer Deposition Applications Laboratory January 1 of this year at its Clairton, Pa. Headquarters. The new lab is equipped with an ALD-200L deposition tool dedicated to providing customer application support and process development. The fully equipped lab includes analytical testing and measurement capabilities. The facility is headed by Dr. Bruce Rayner. Dr. Rayner earned a BS degree in physics from Old Dominion University, and a doctorate in physics from North Carolina State University. He joined the Kurt J. Lesker Company in 2005 with over seven years of experience in ALD and CVD process development. 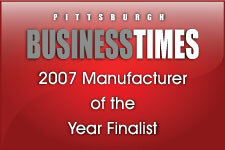 Kurt J. Lesker Company is proud to announce that we have been selected as a Finalist for The Pittsburgh Business Times Manufacturer of the Year. We were one of five selected in our category out of a field of over 70 area manufacturers based on a survey conducted by the publication. As we celebrate this recognition, we will continue to pursue our goal of becoming our customers' primary vacuum science provider through excellence. Our LeskerBond ™service offers in-air room temperature target bonding of dissimilar materials using Reactive NanoTechnologies Inc. (RNT) NanoFoil®. Our service offers superior bonding of targets to backing plates with different coefficients of thermal expansion --- reducing or eliminating target cracking or debonding during deposition.